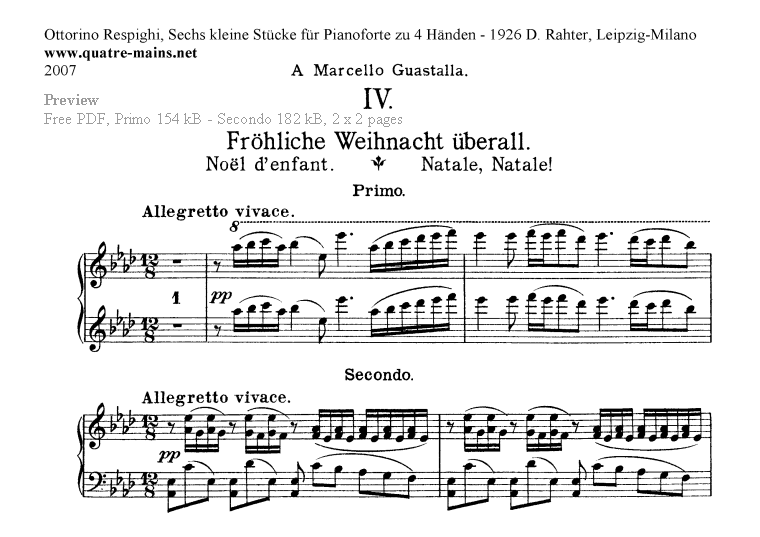 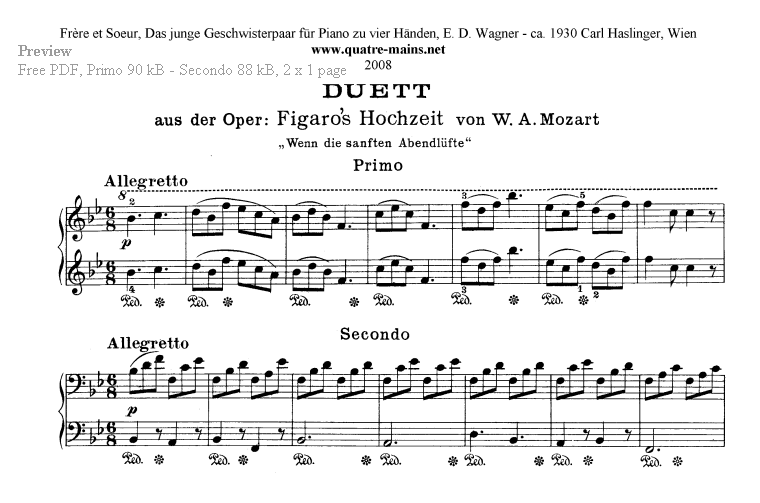 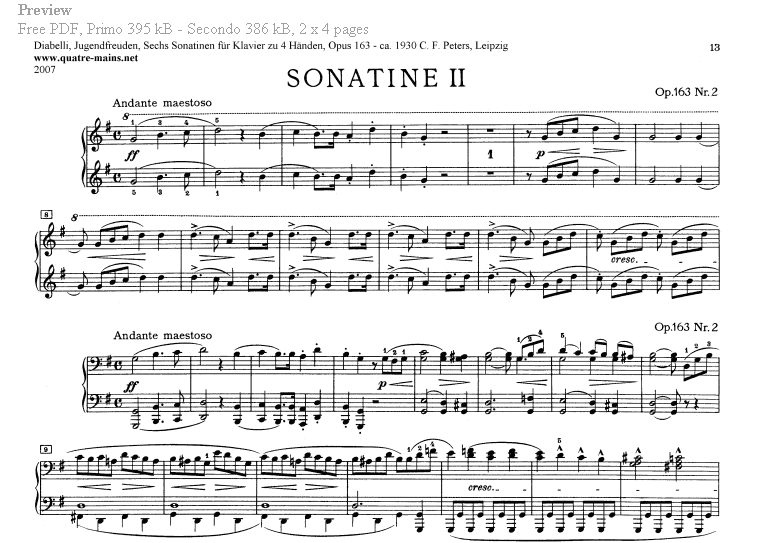 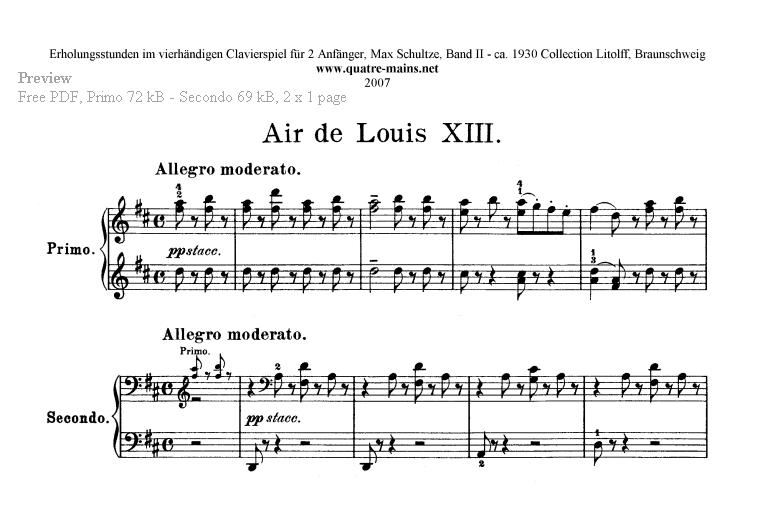 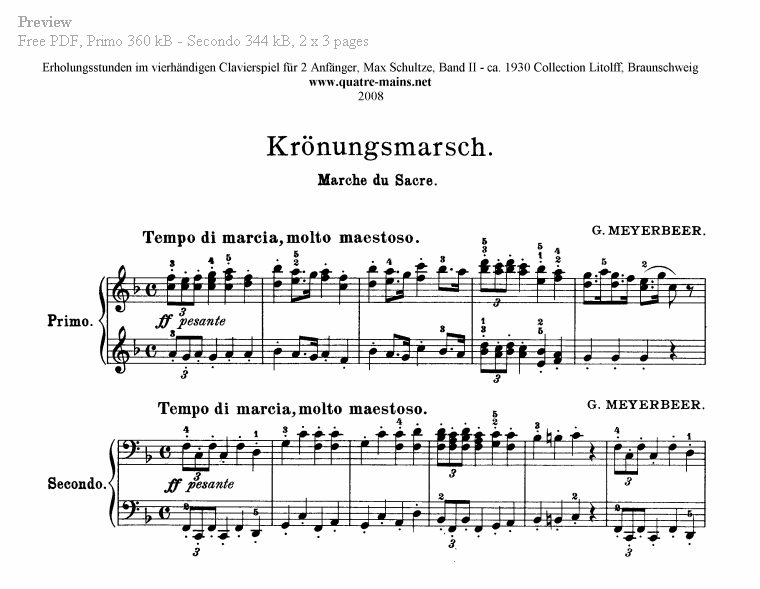 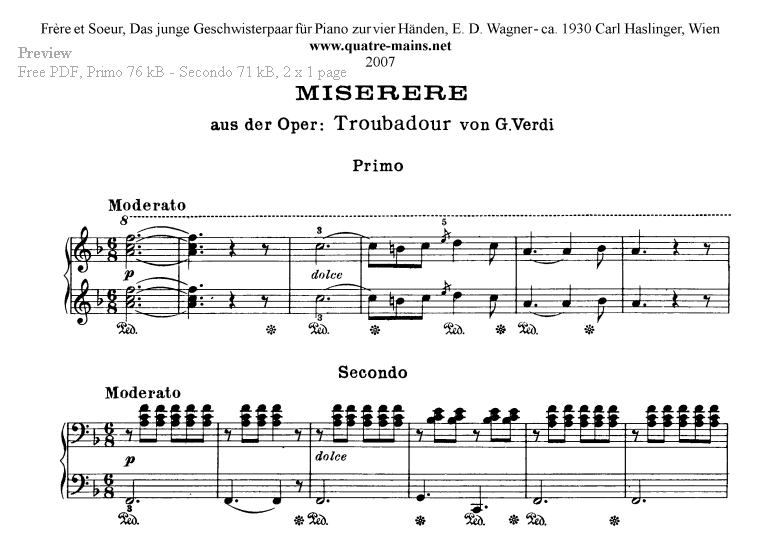 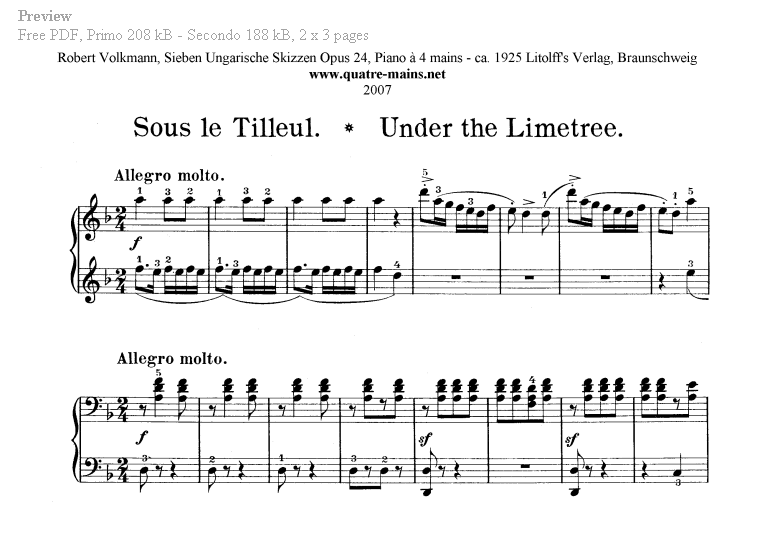 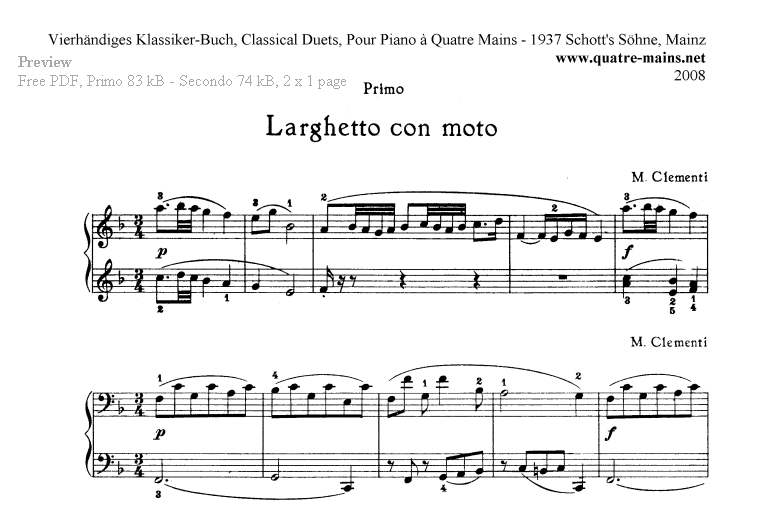 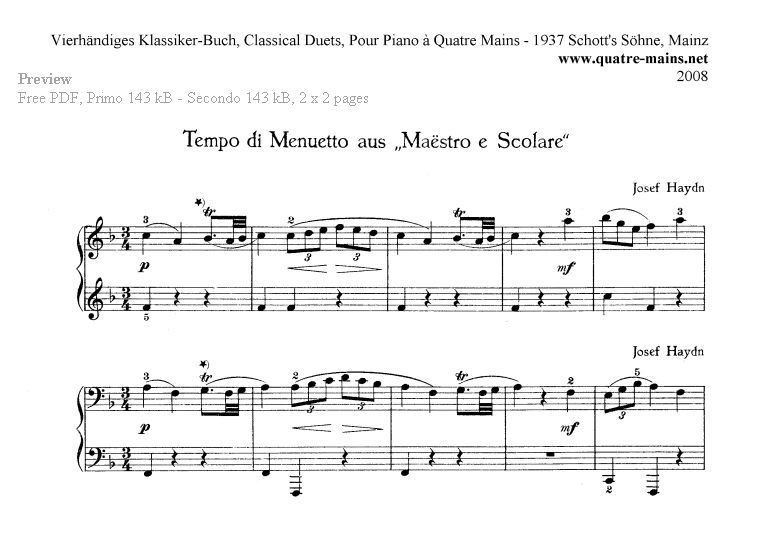 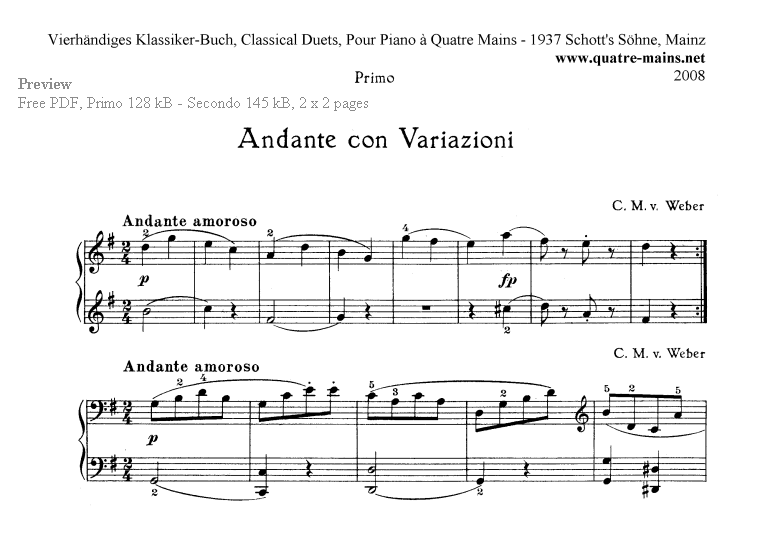 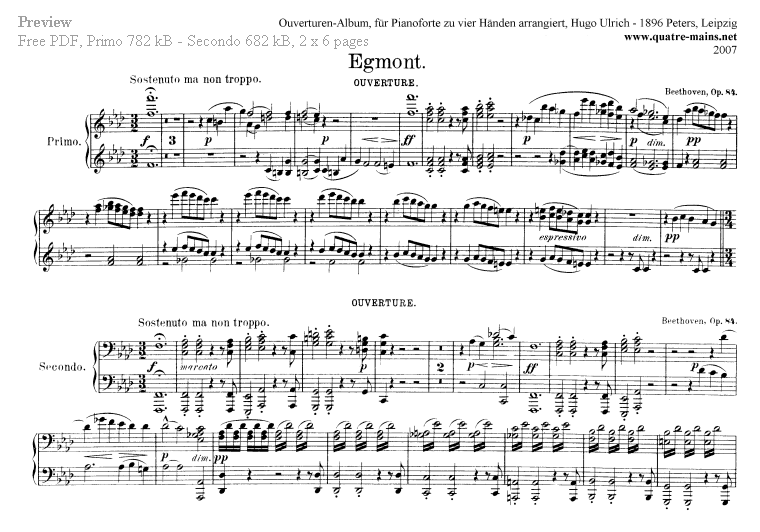 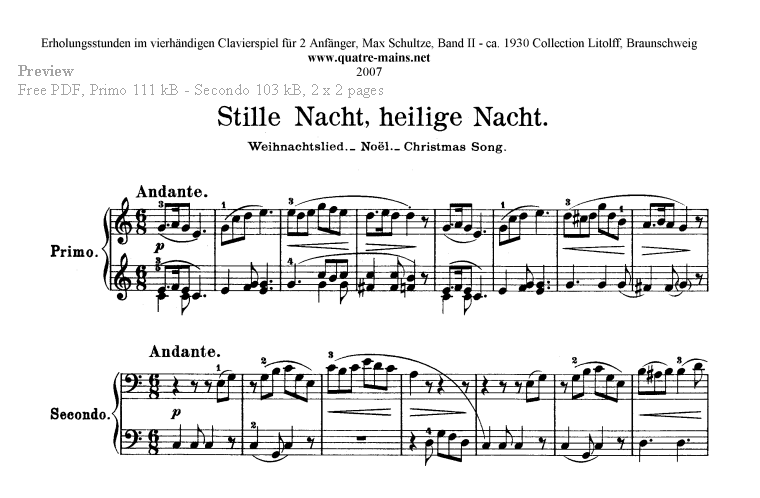 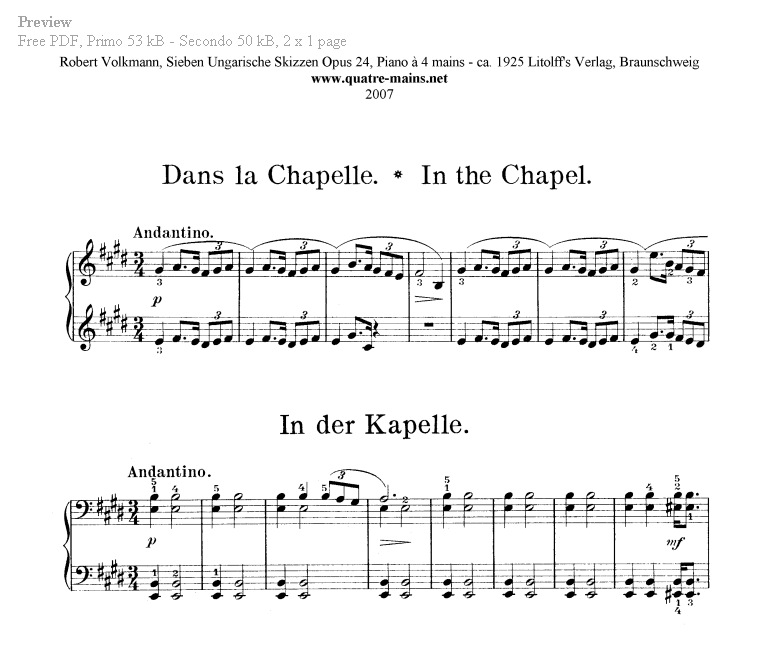 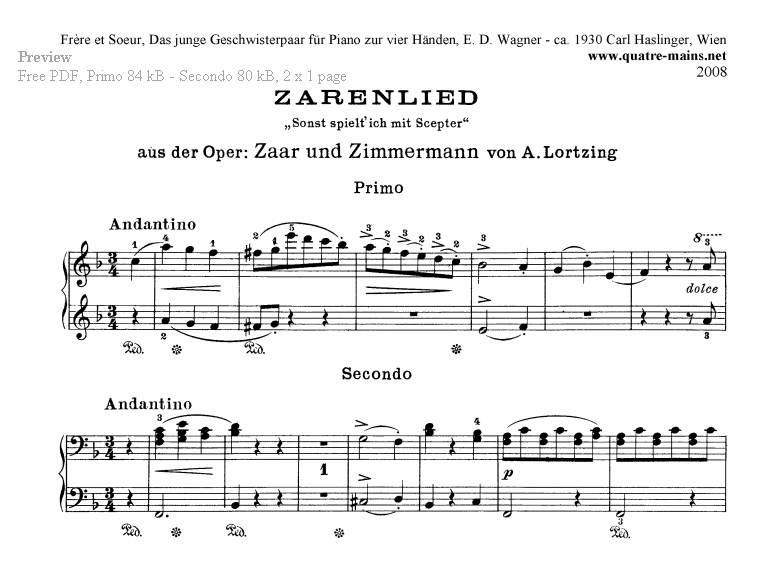 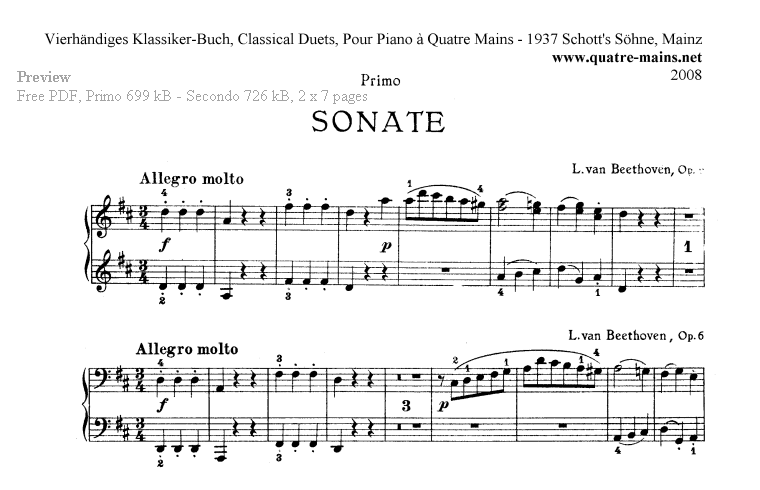 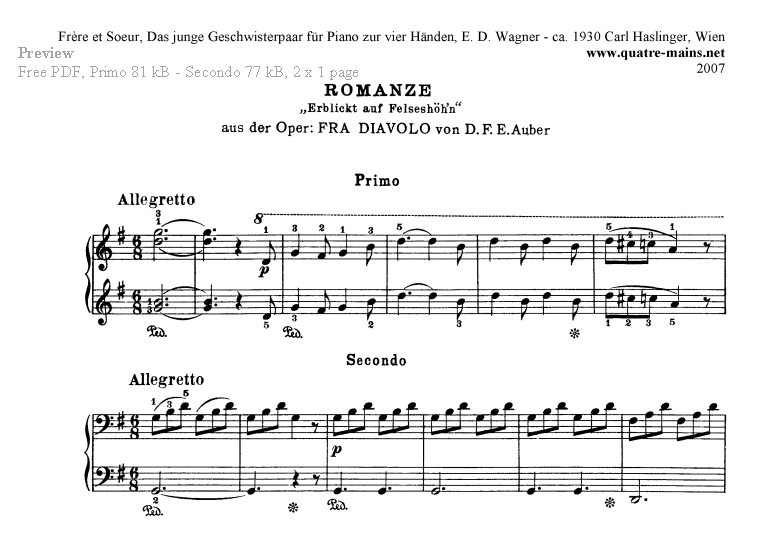 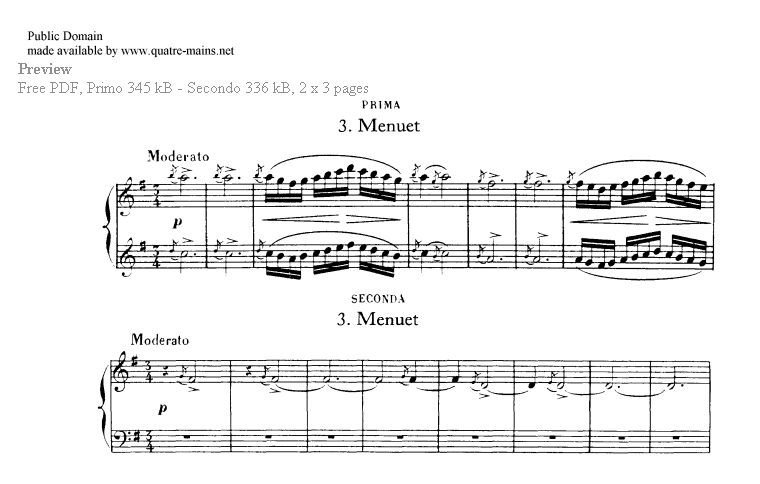 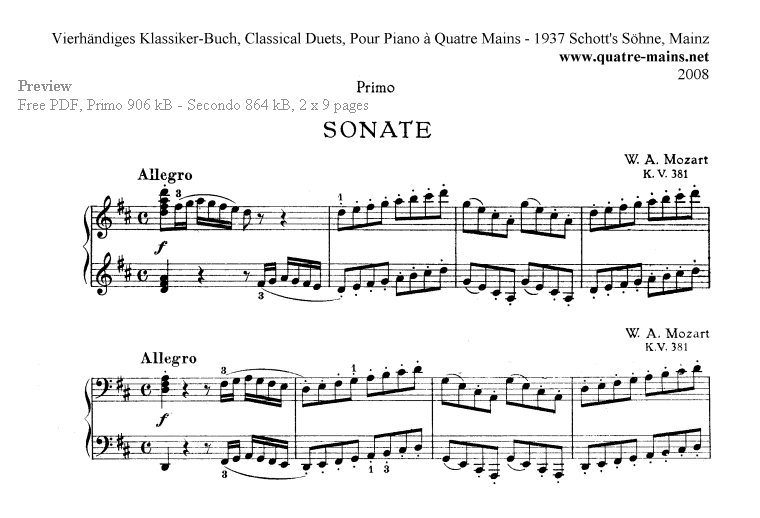 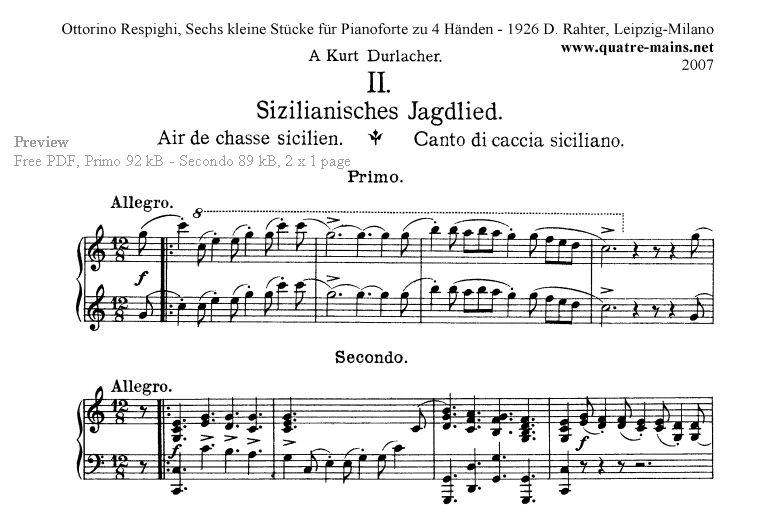 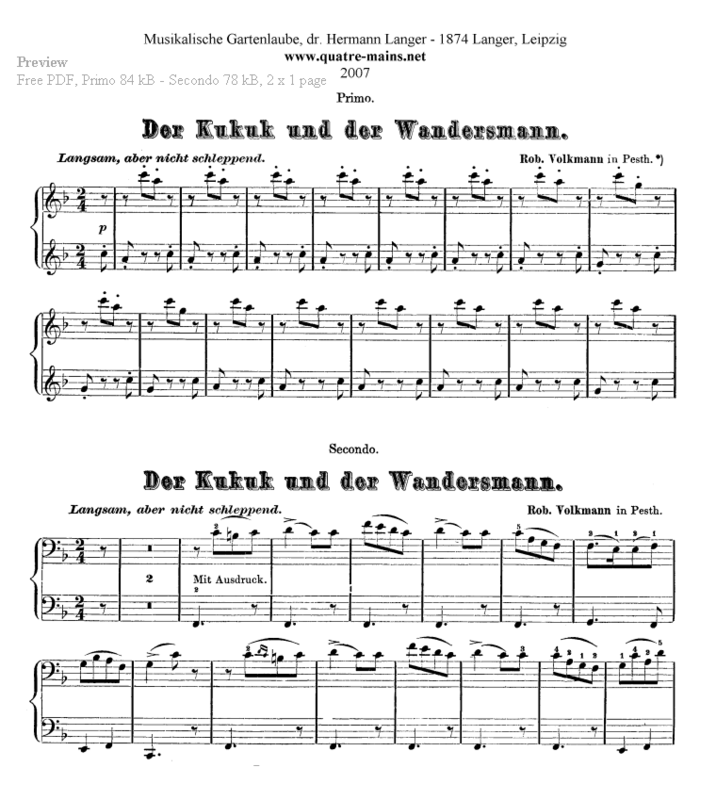 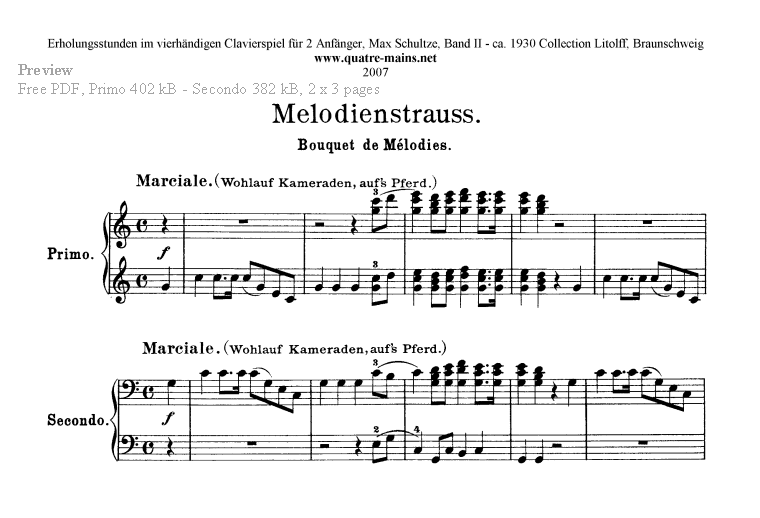 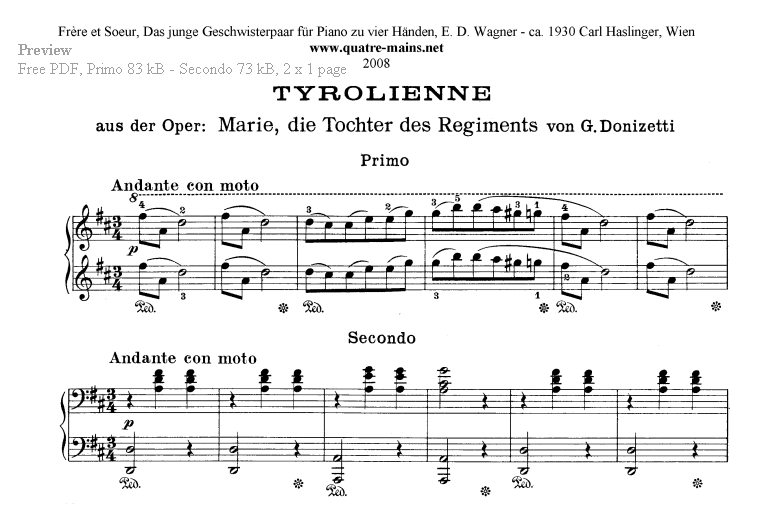 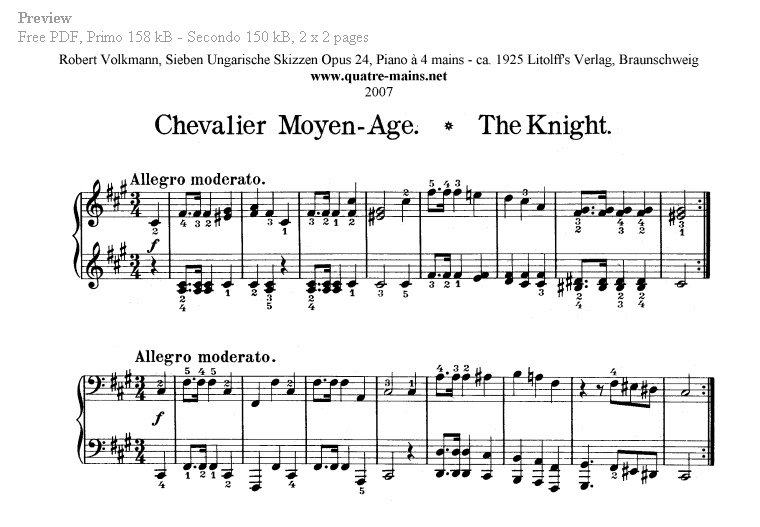 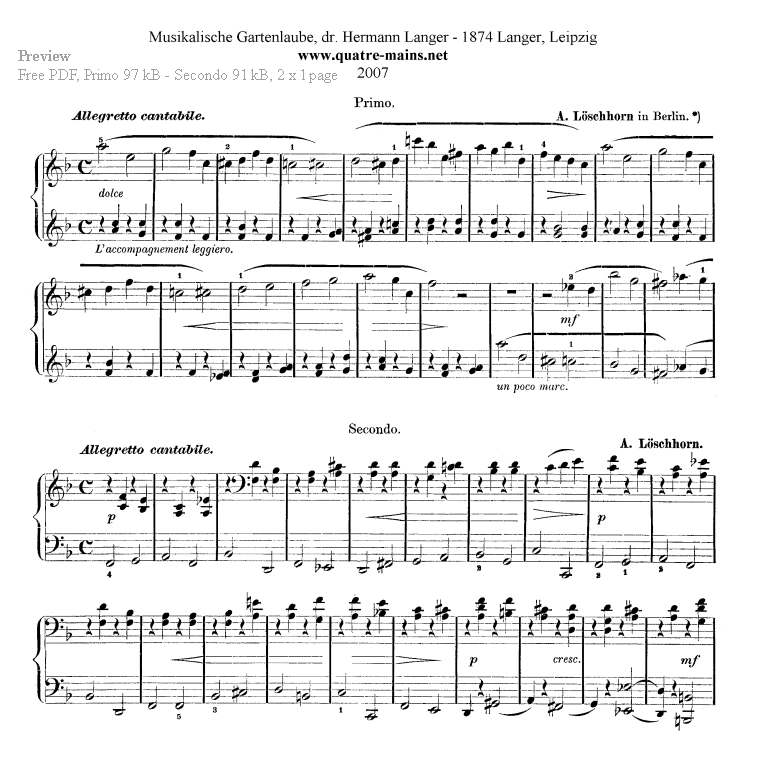 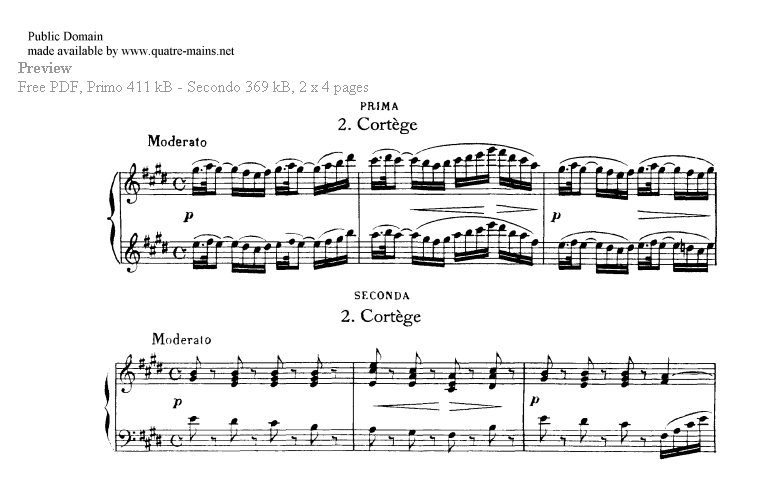 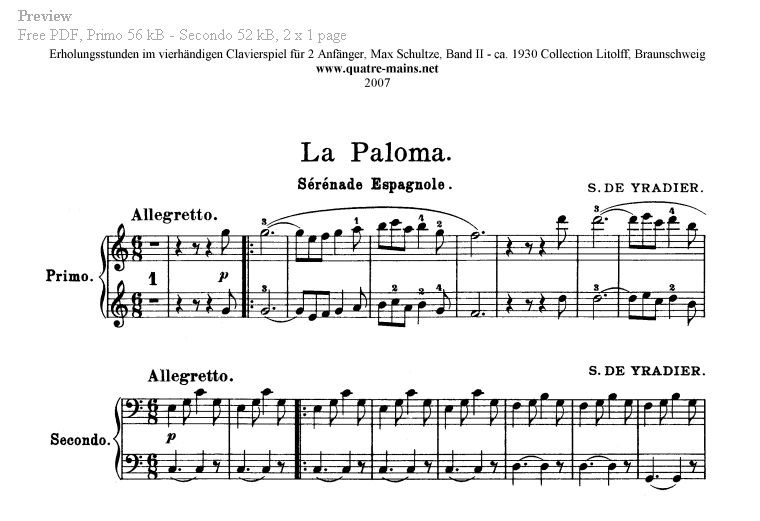 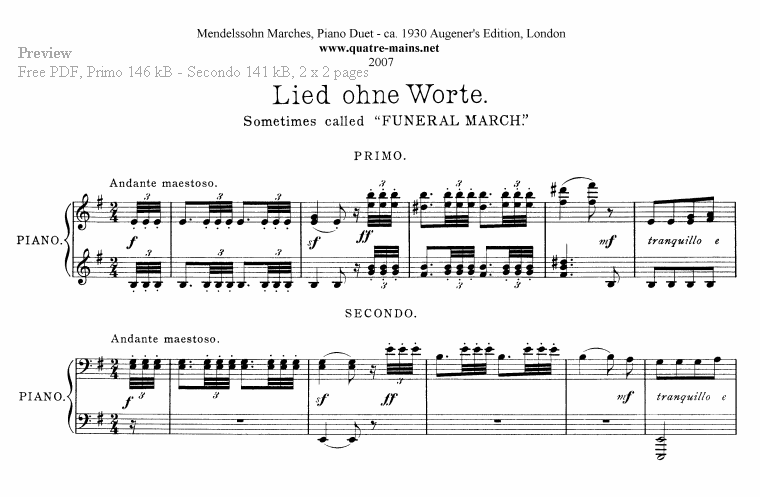 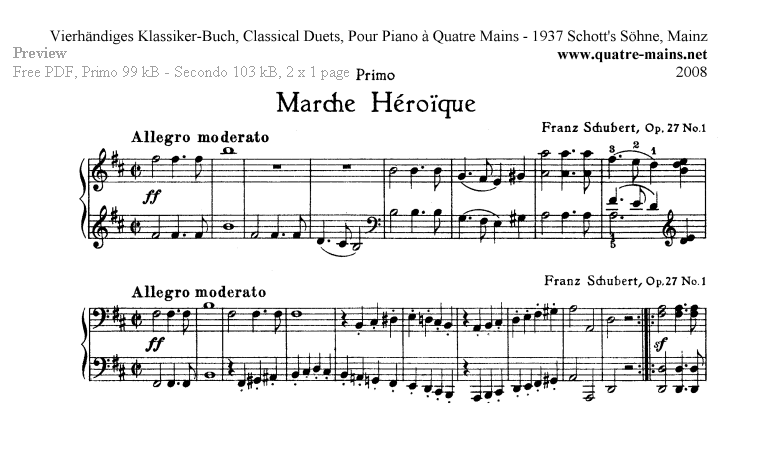 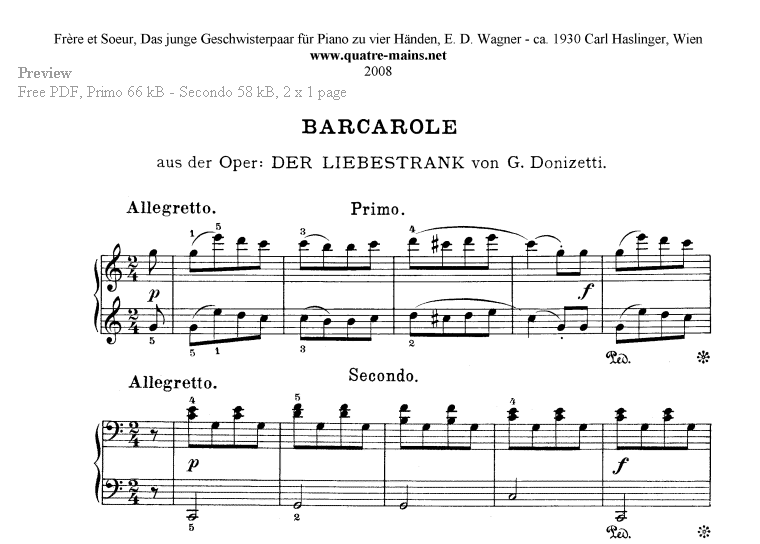 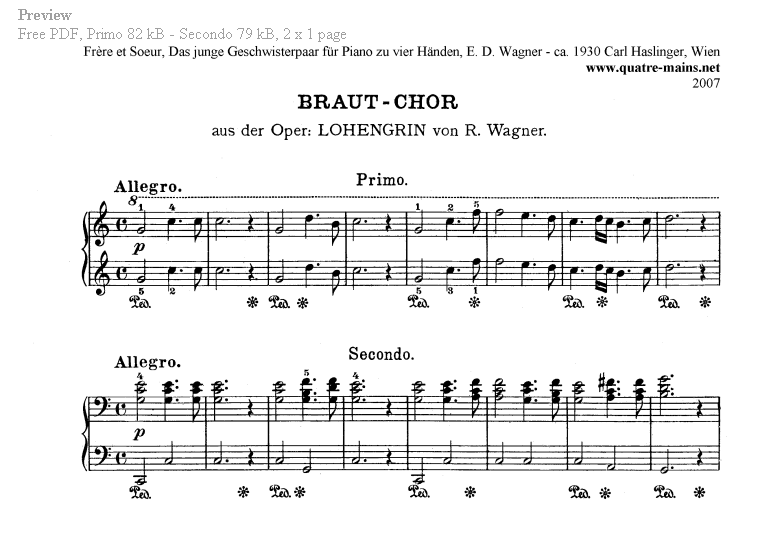 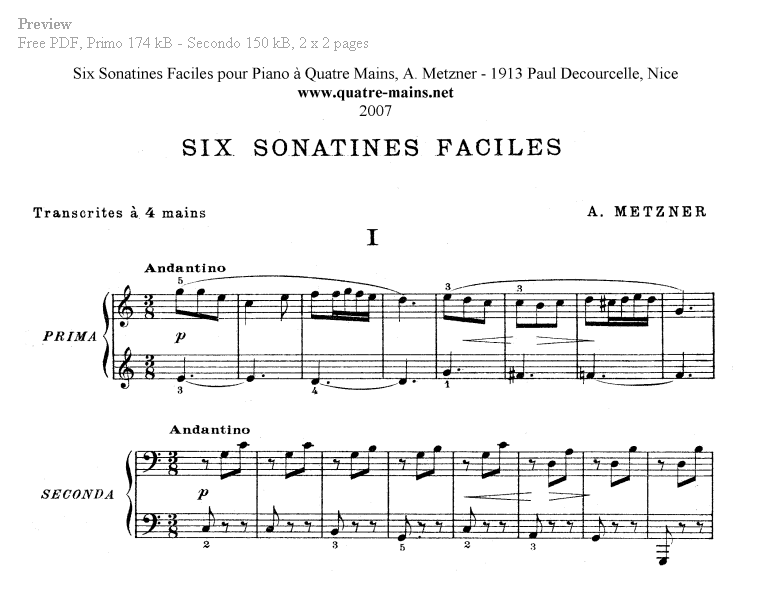 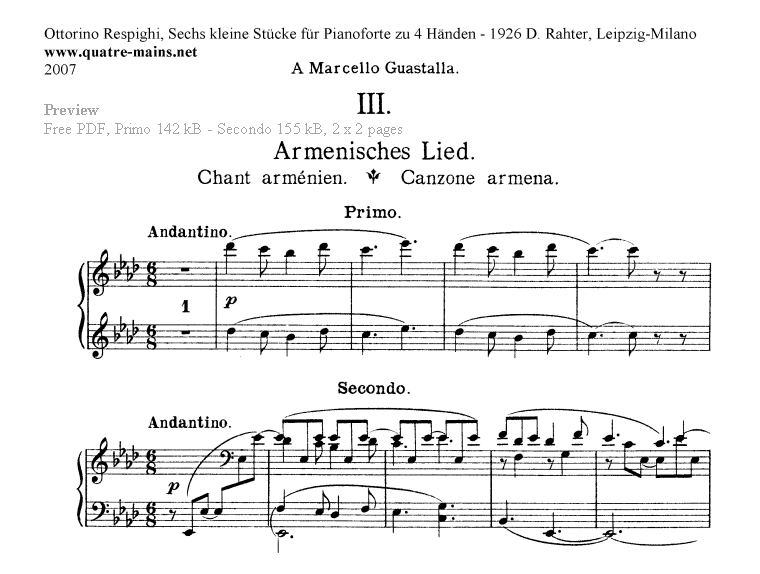 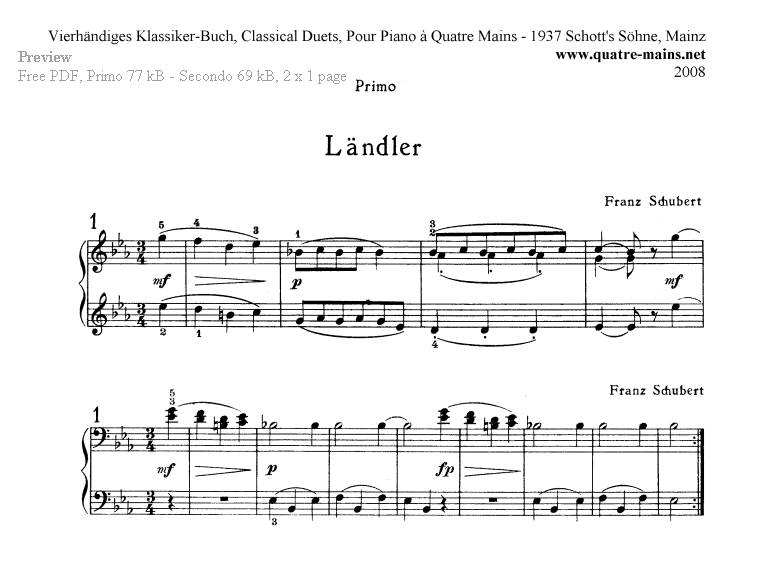 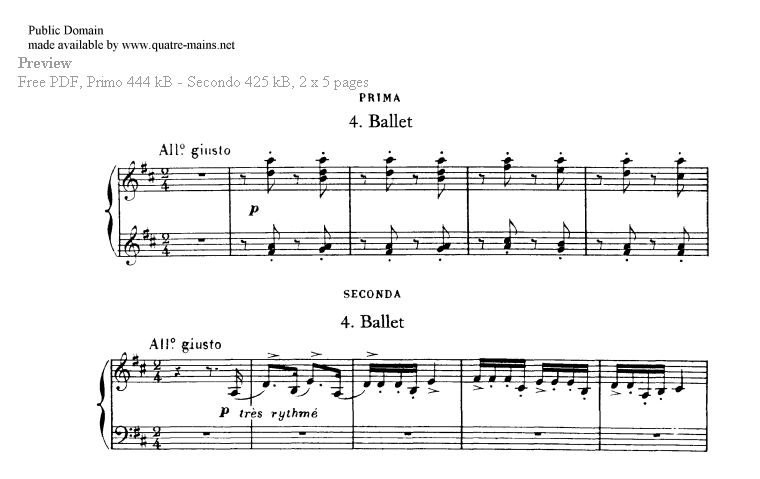 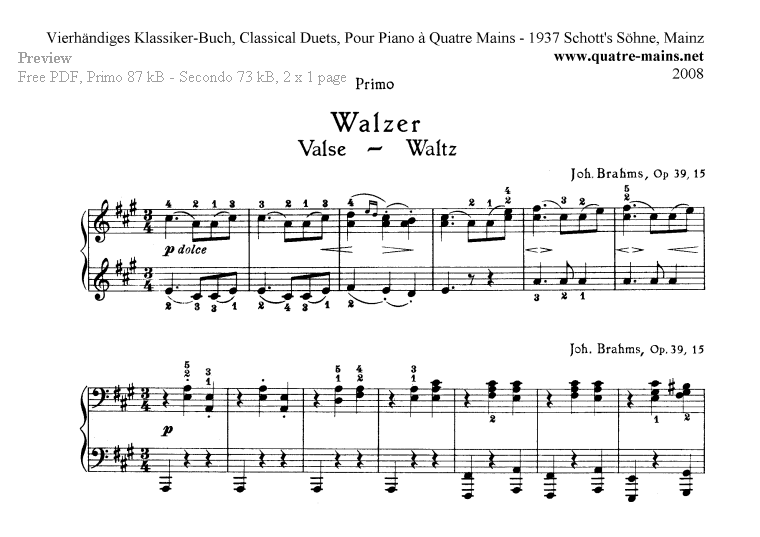 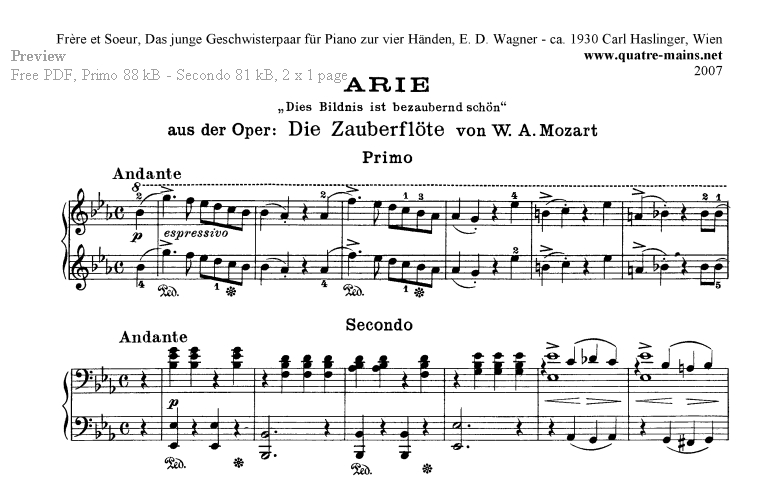 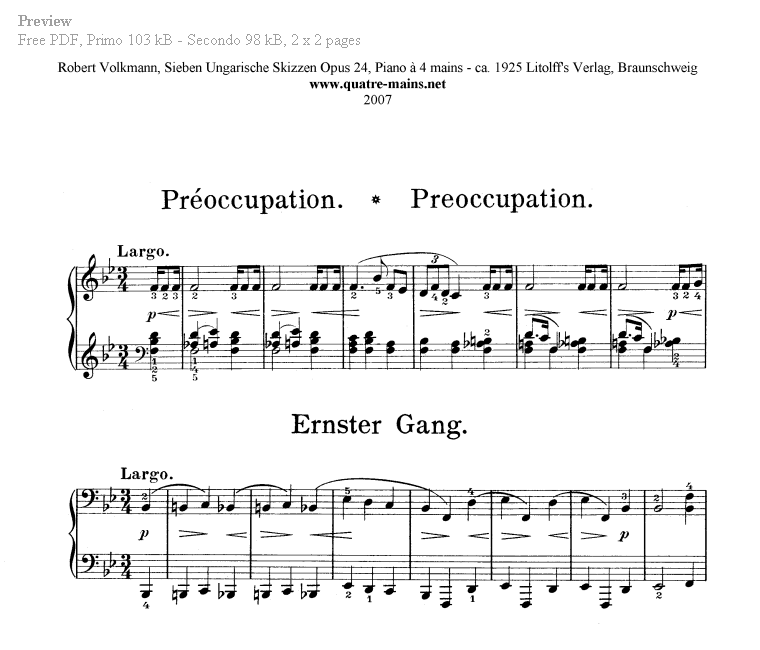 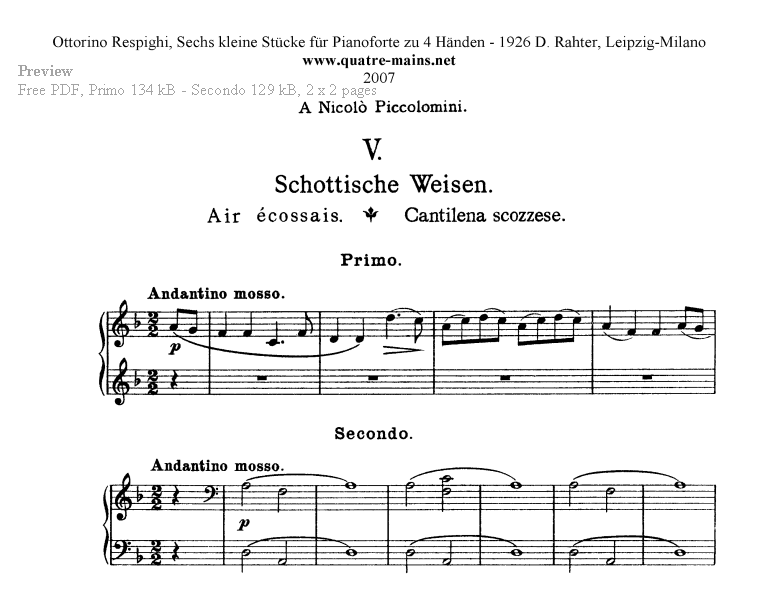 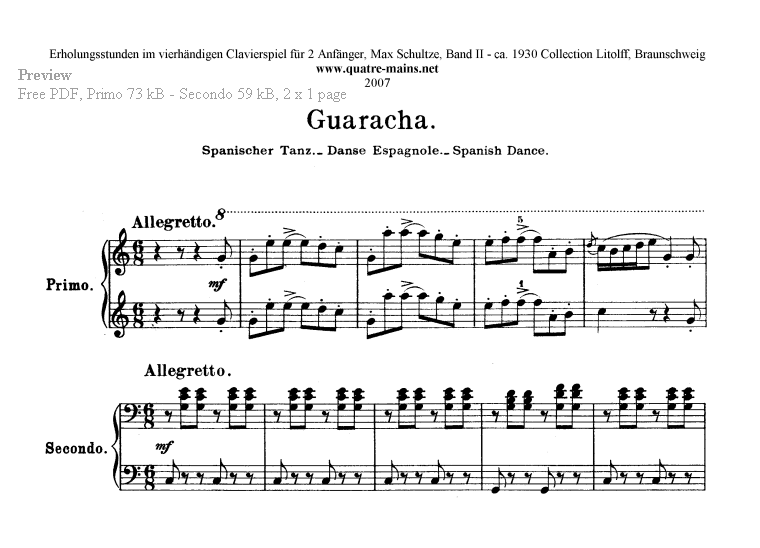 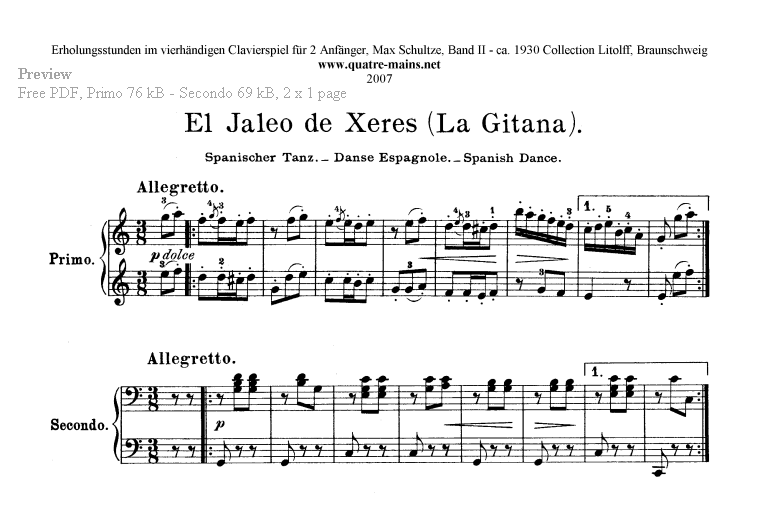 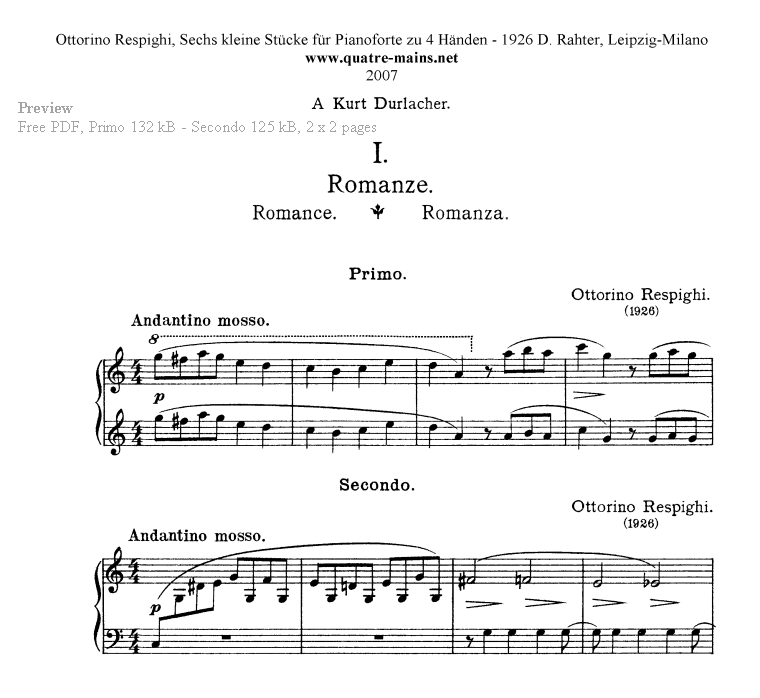 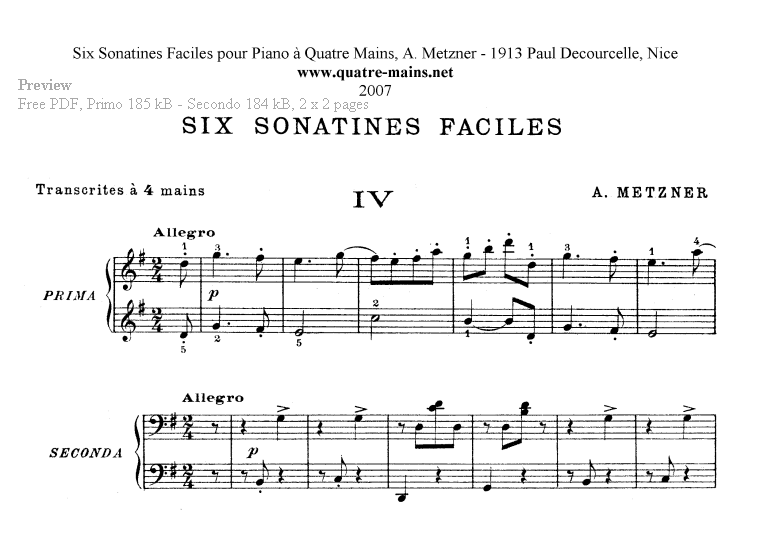 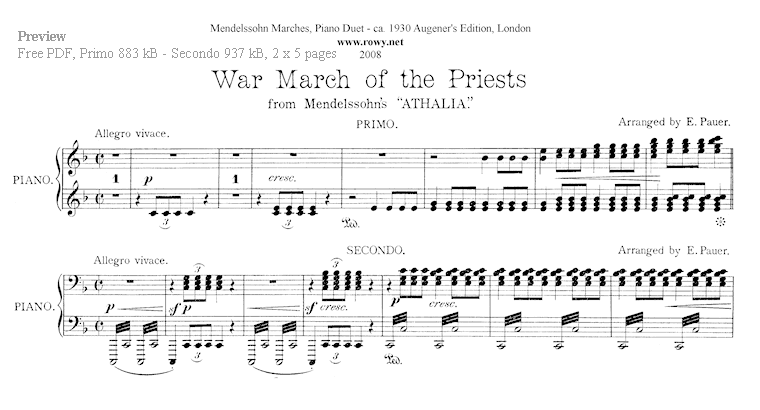 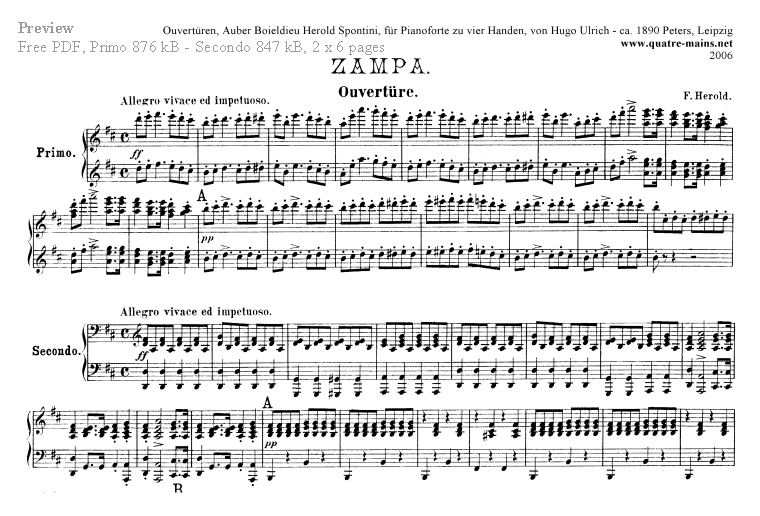 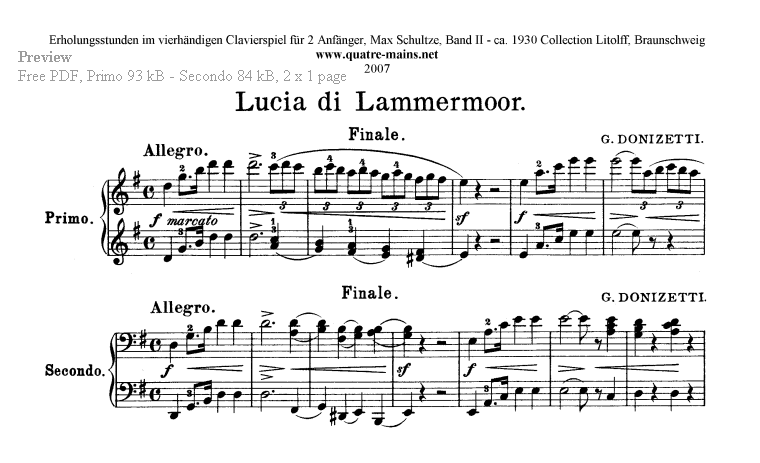 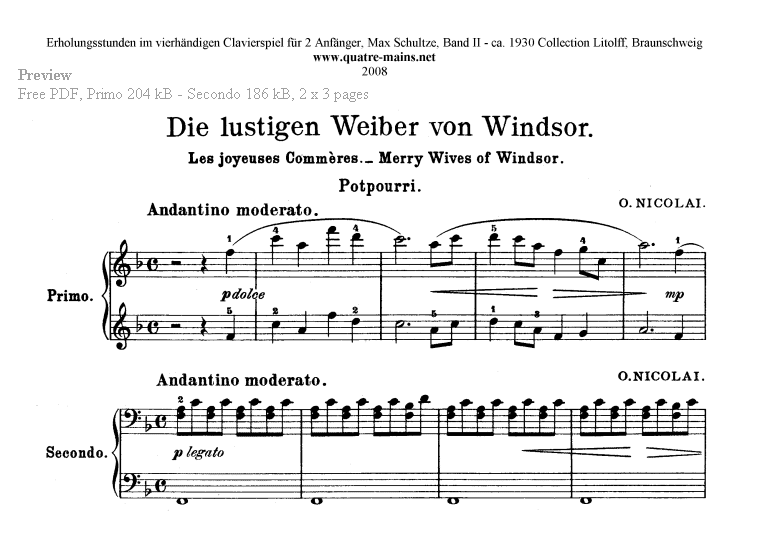 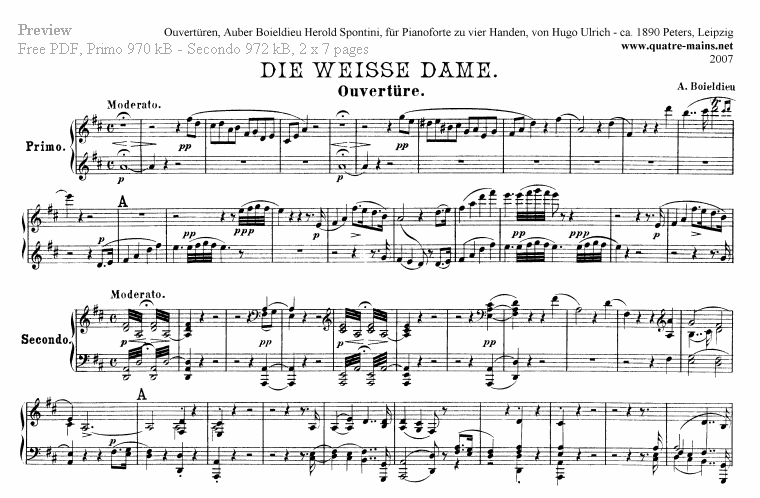 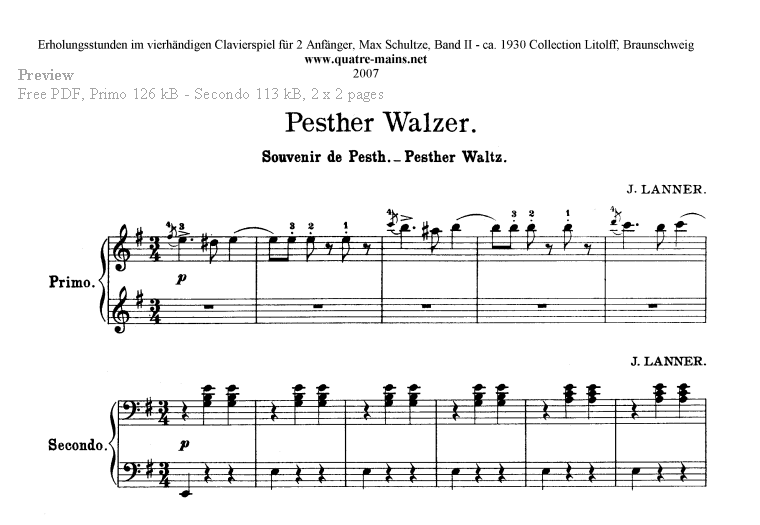 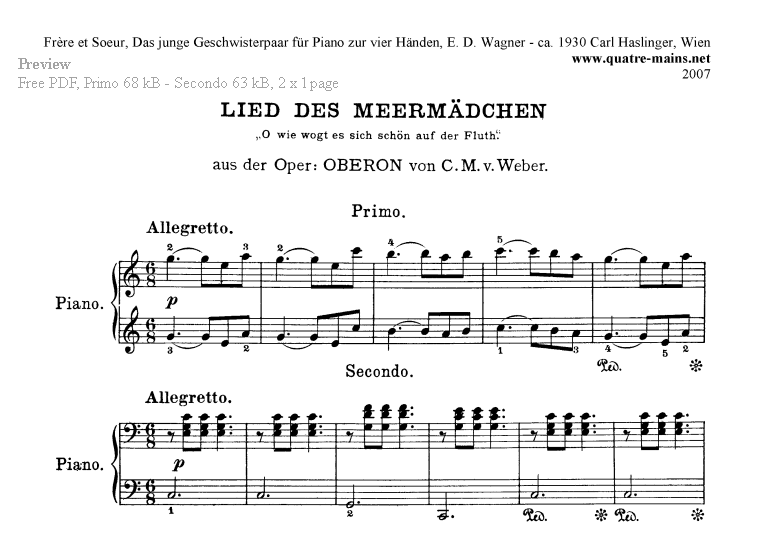 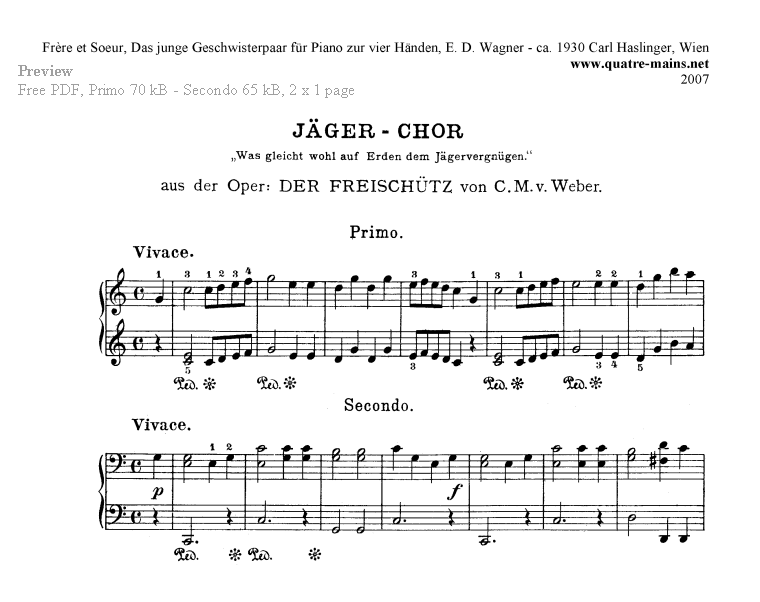 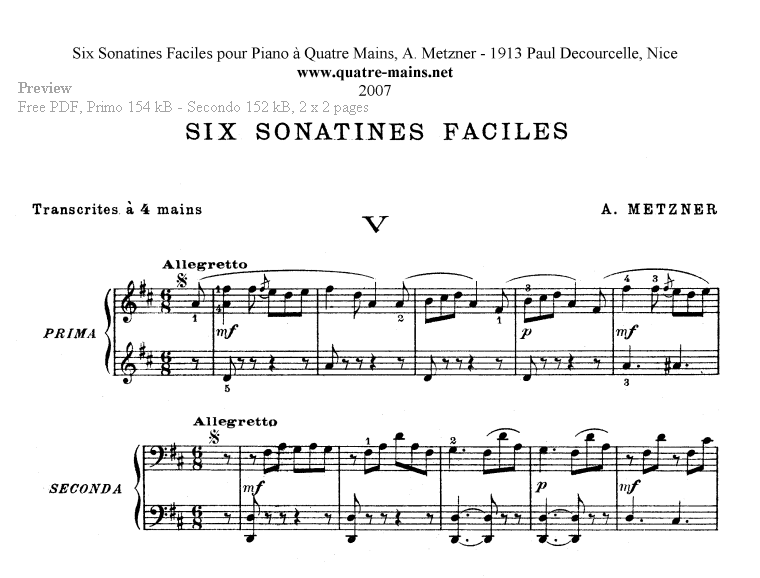 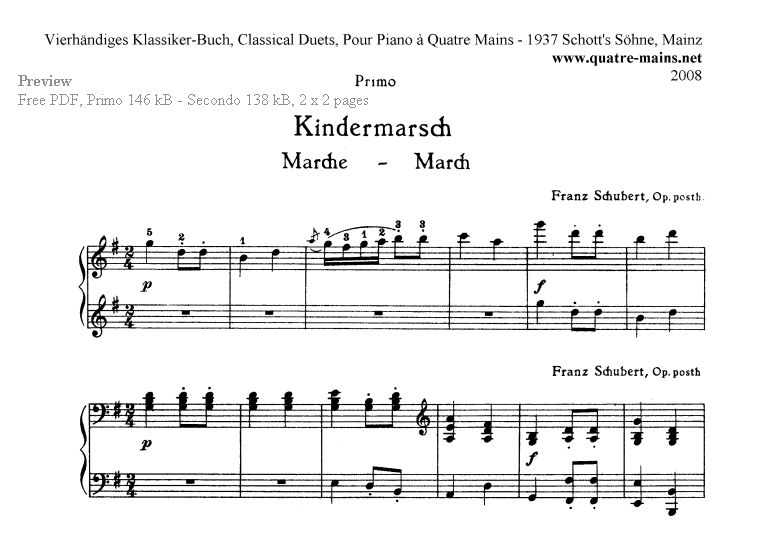 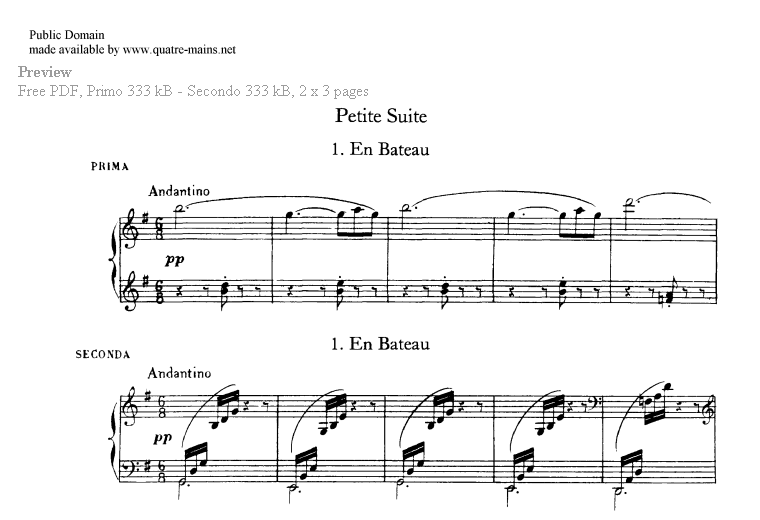 quatre-mains.net is one of the extra websites with free content made by RowyNet, a website that offers you more than 2.000 files packed with free and legal sheet music. 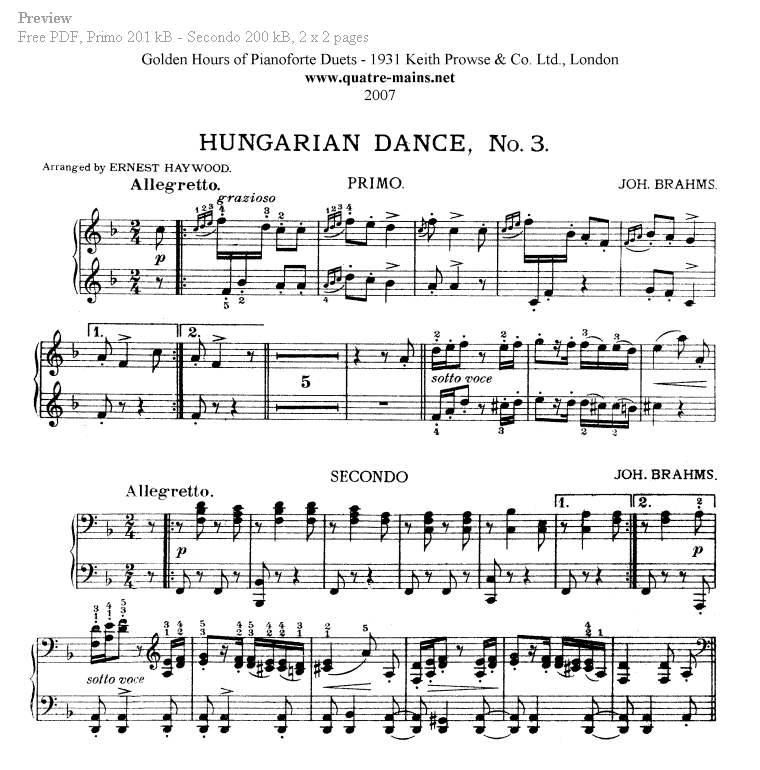 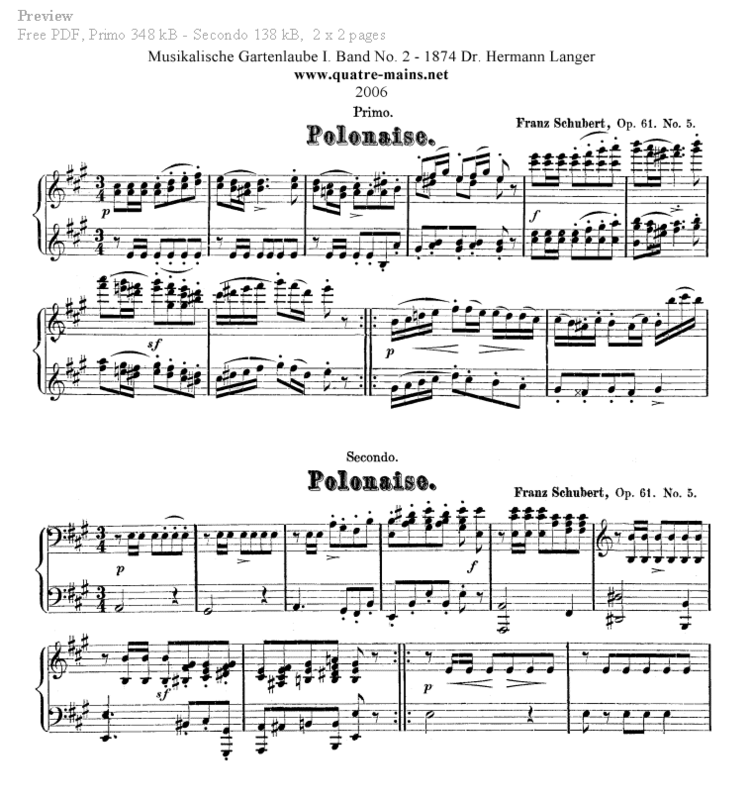 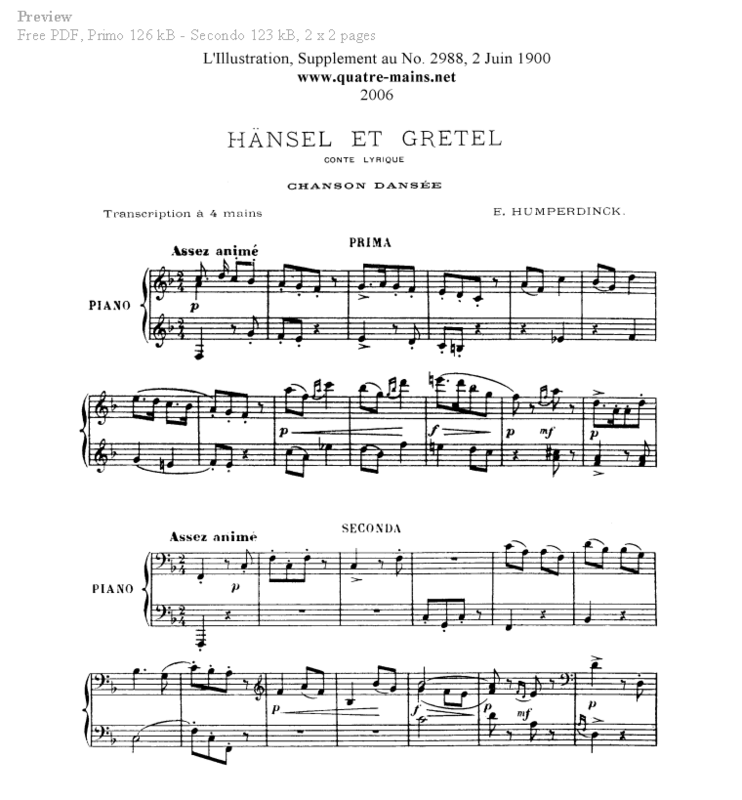 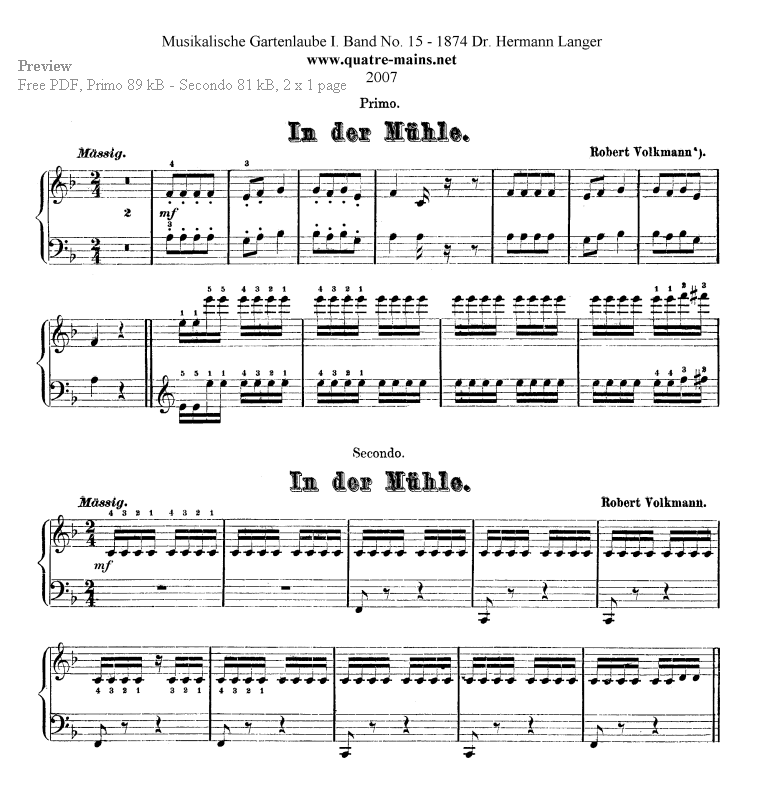 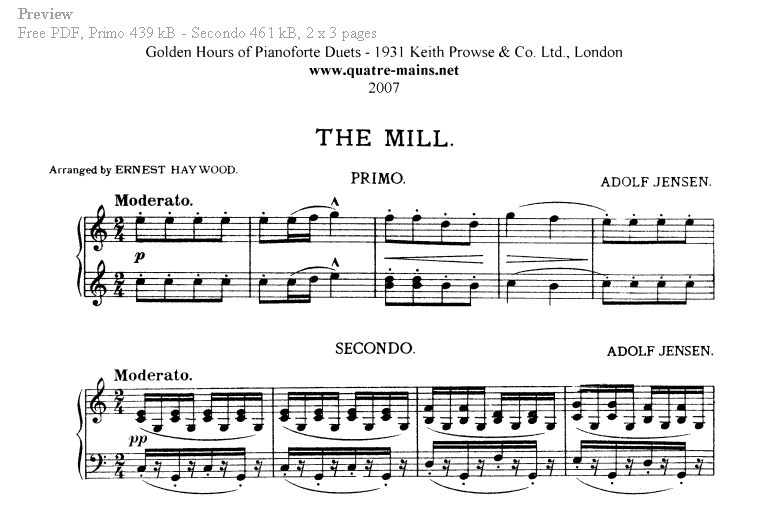 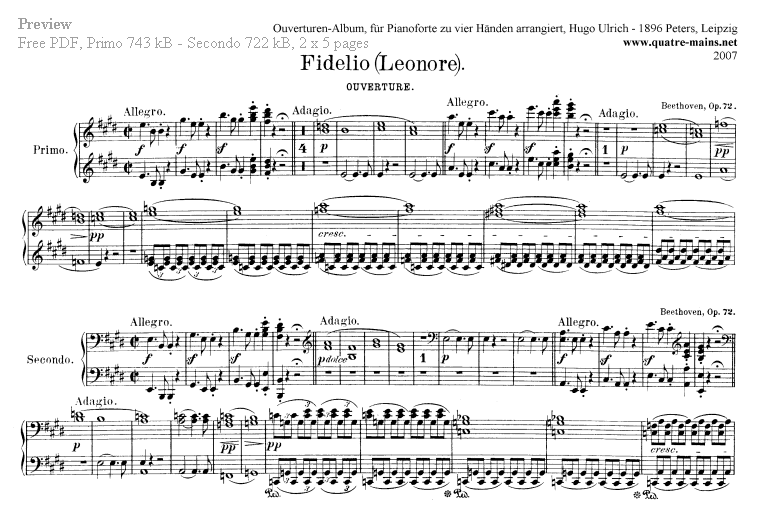 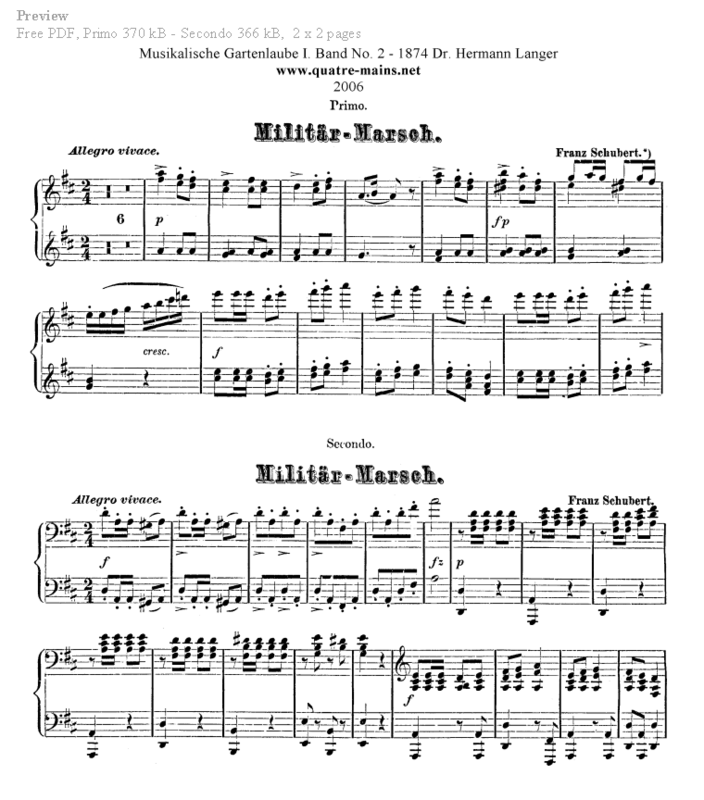 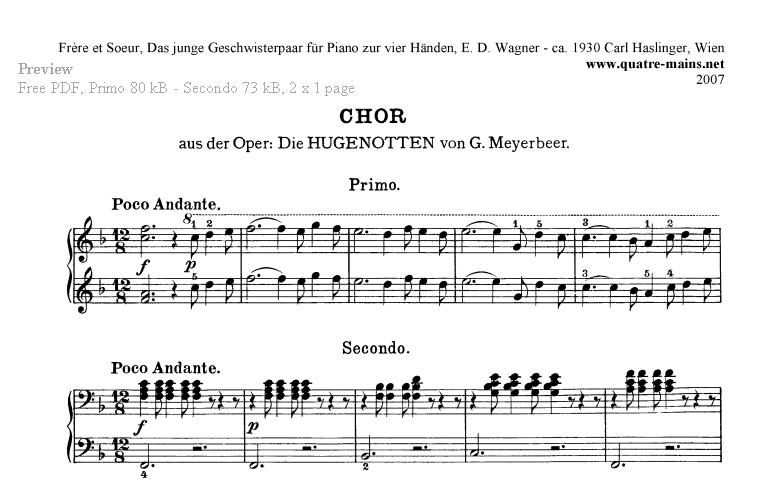 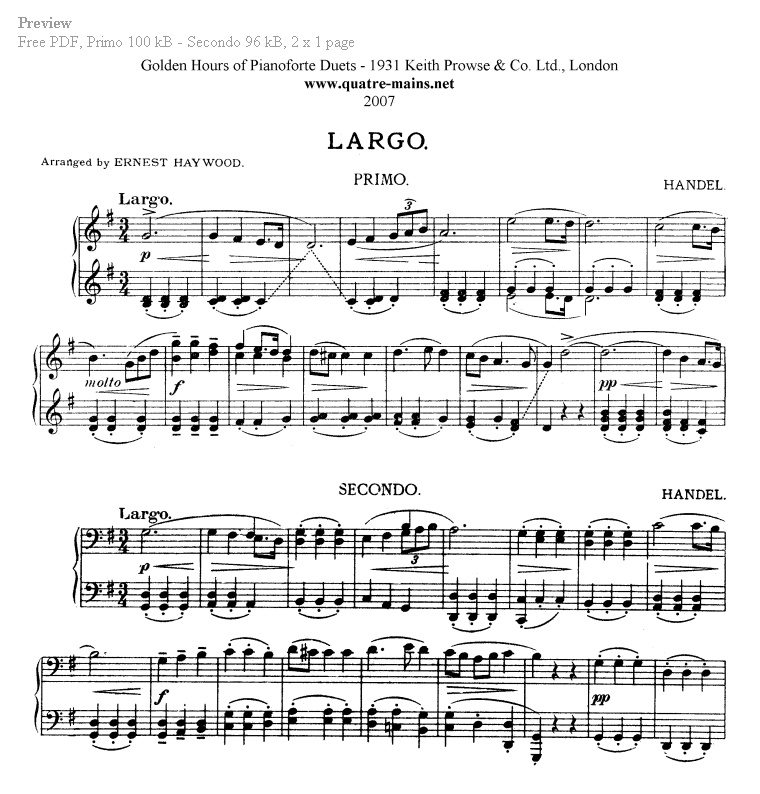 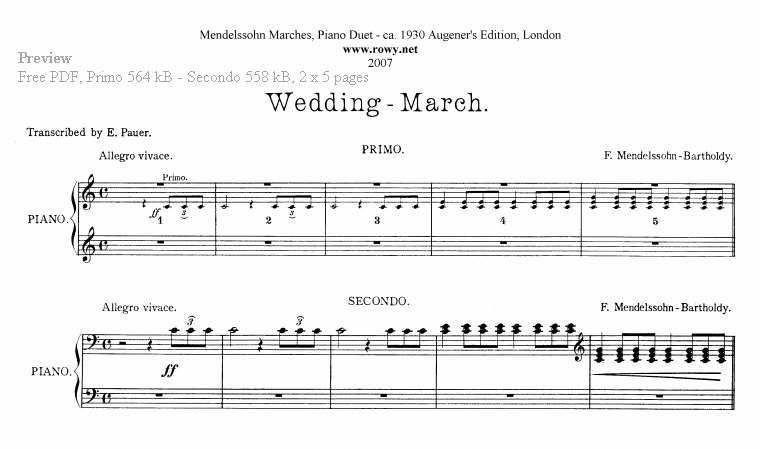 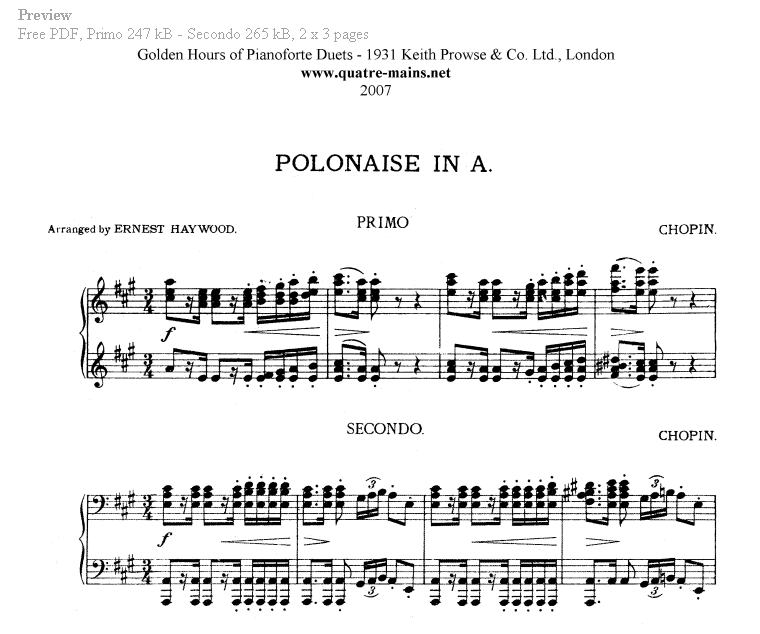 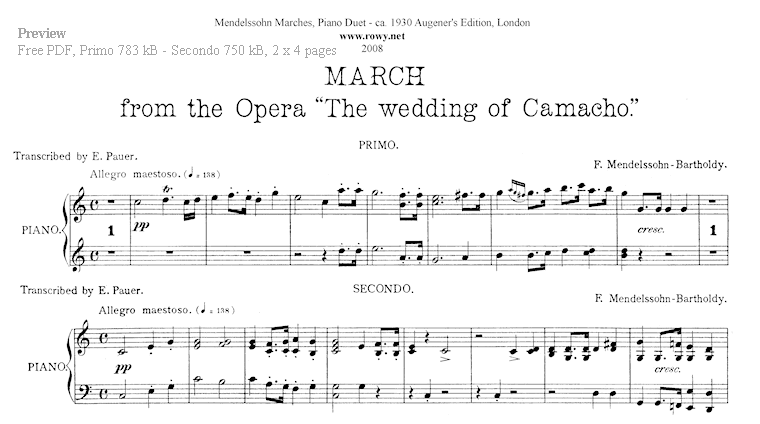 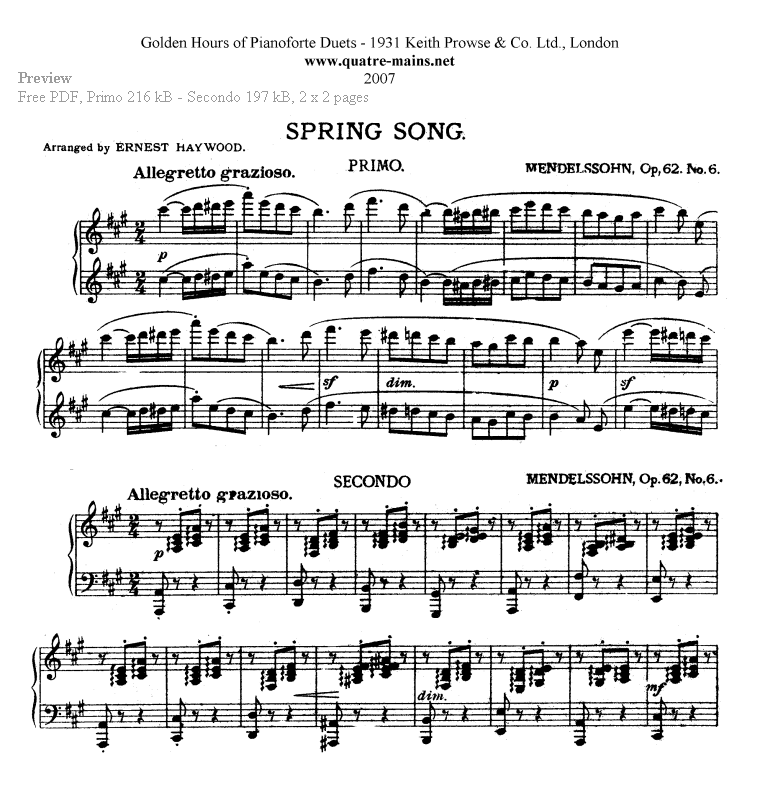 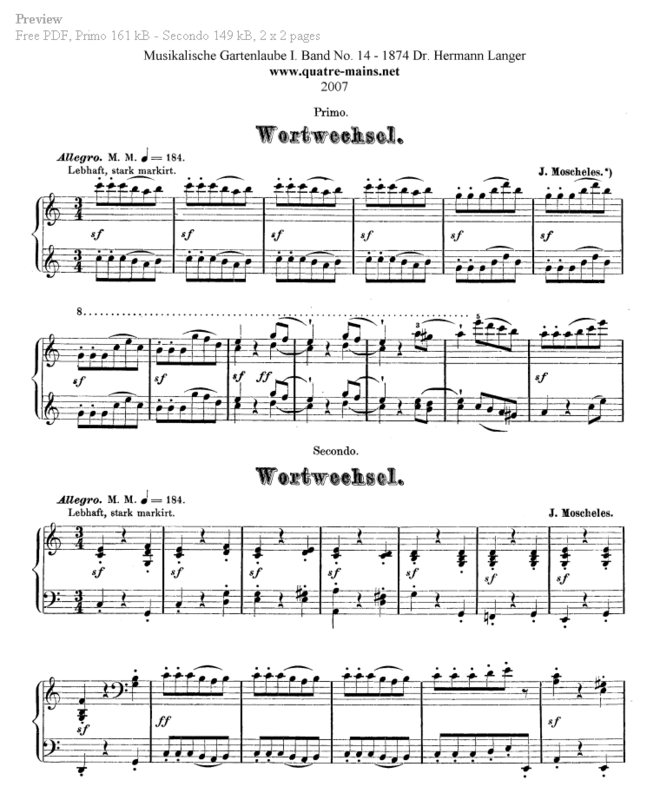 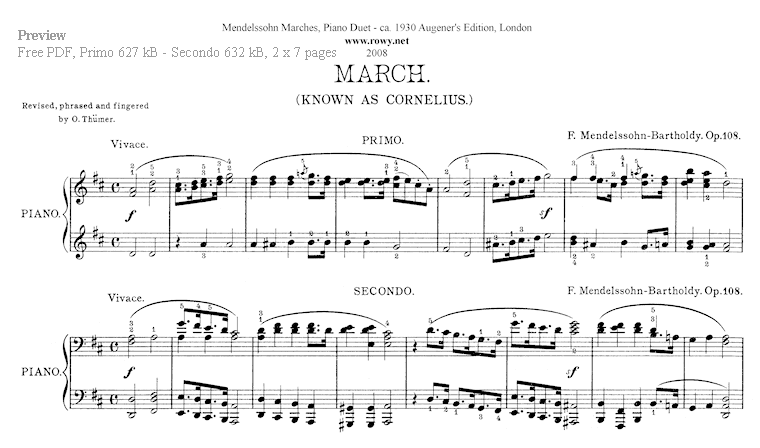 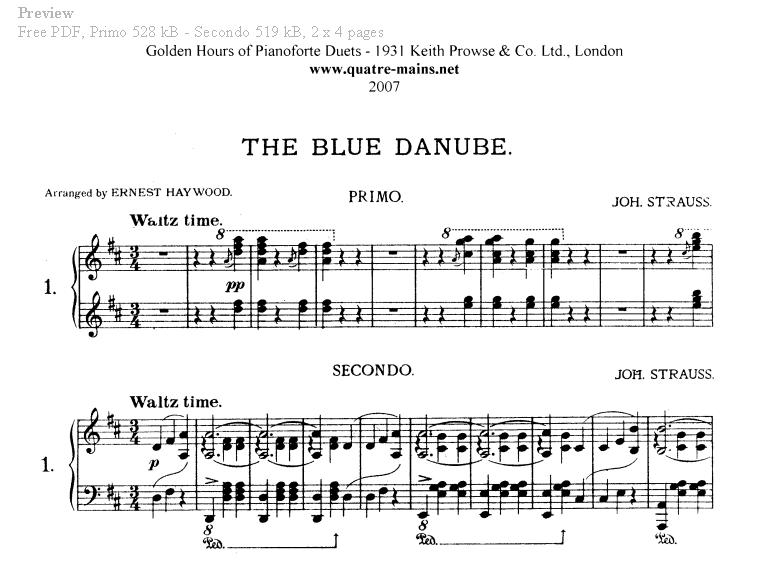 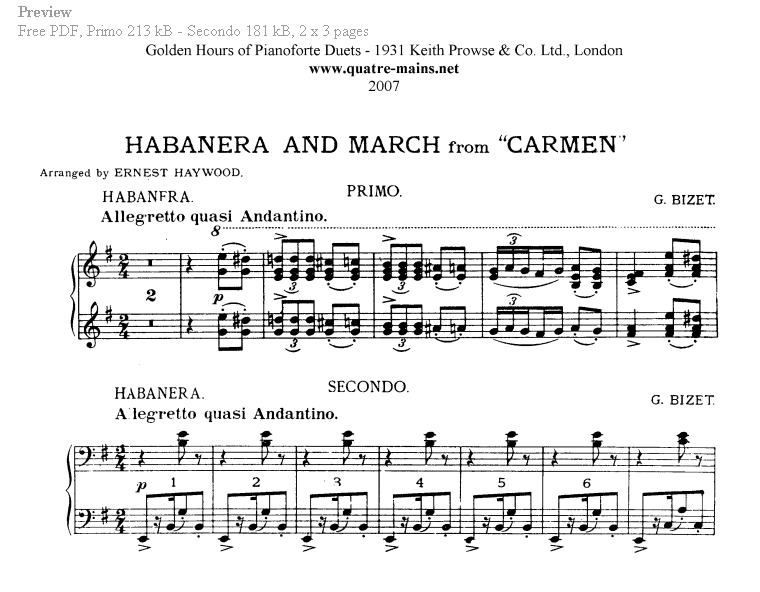 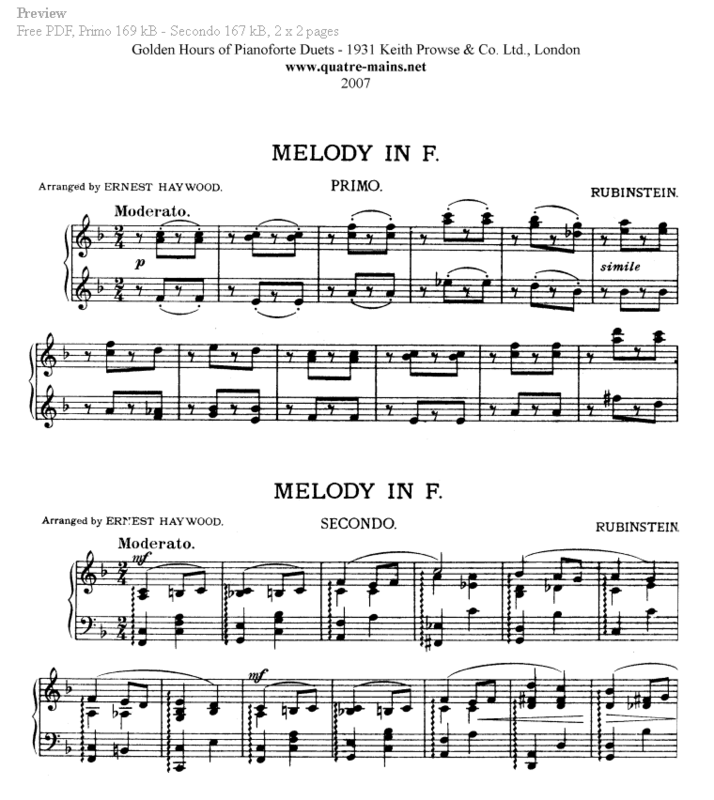 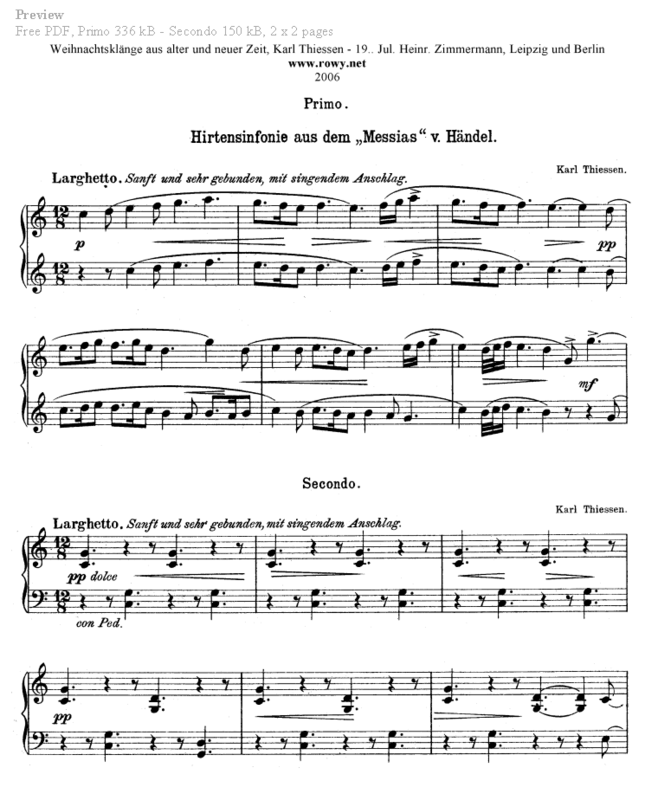 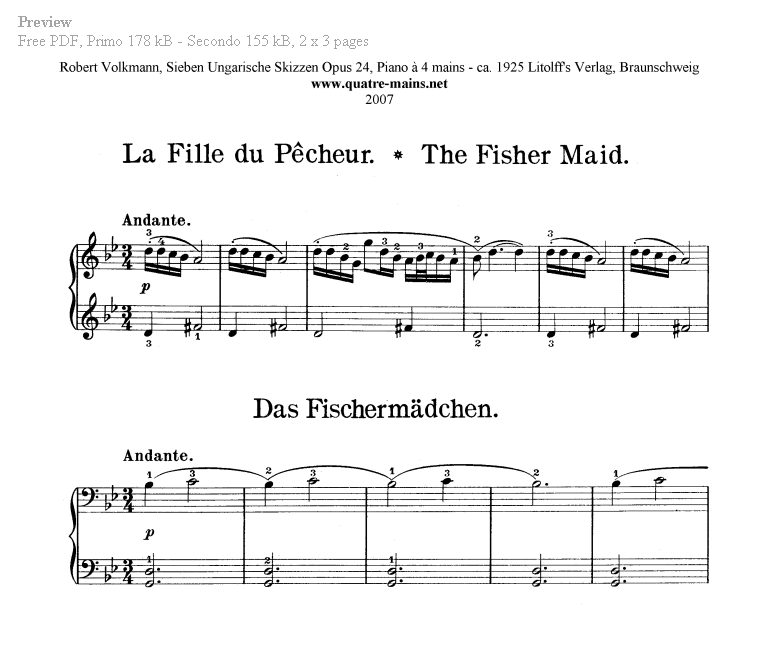 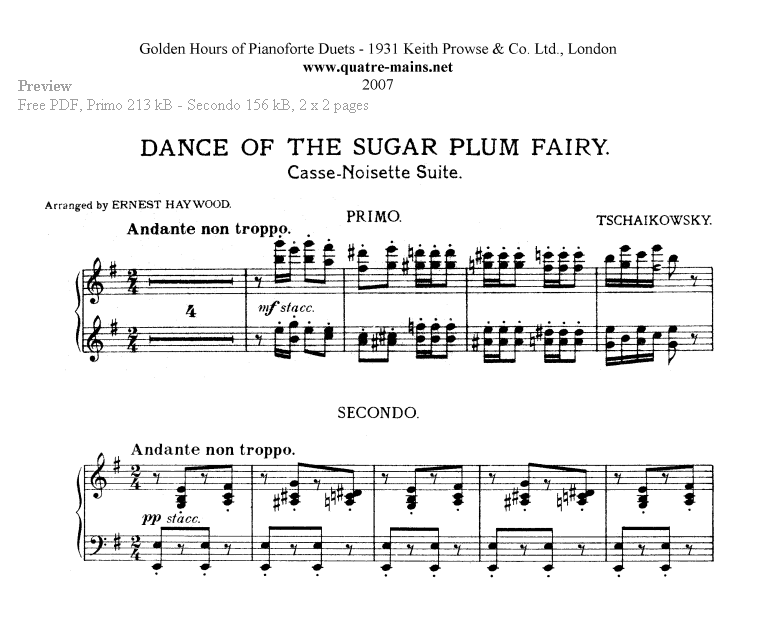 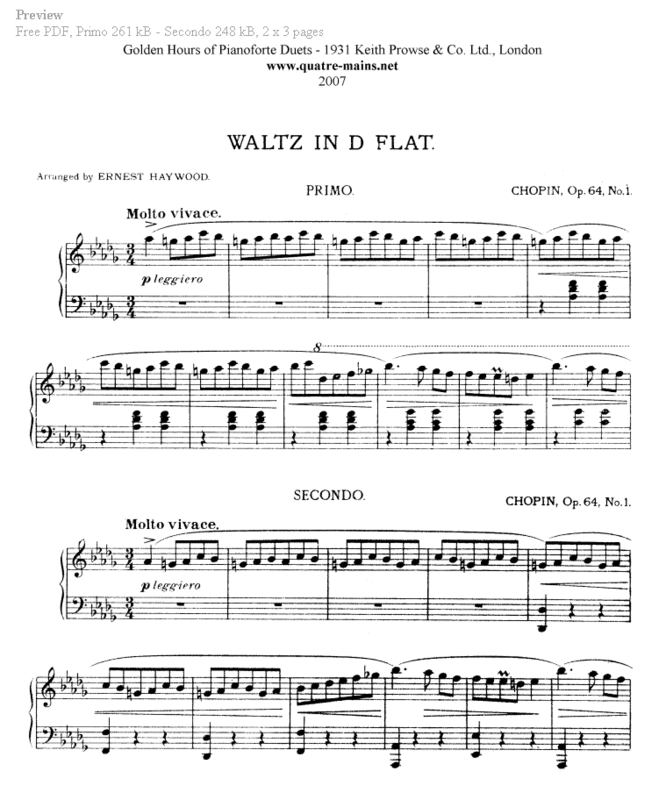 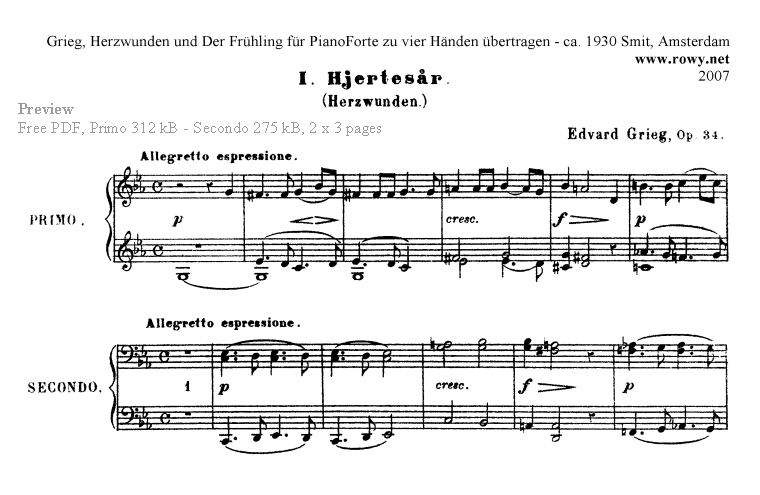 The piano four hands sheet music is free, because we use antique sheet music. 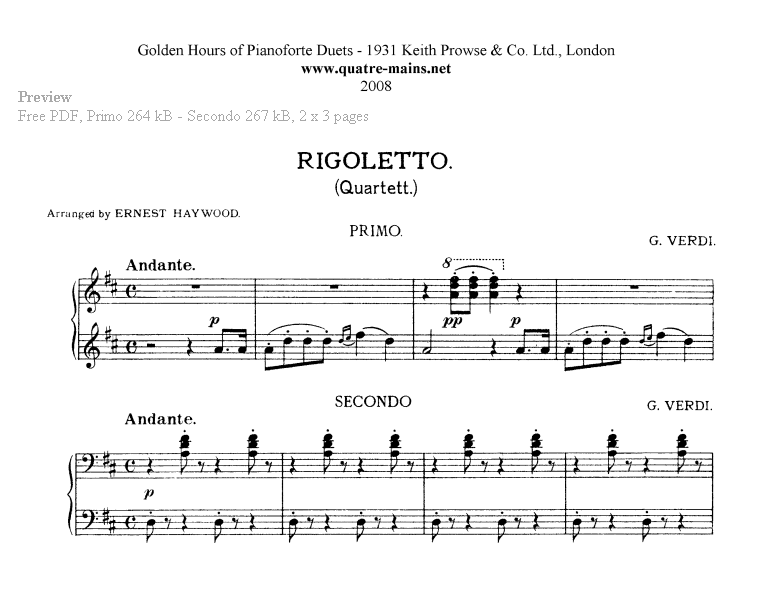 The music is hand picked by Rowy, a classical trained composer who co-founded RowyNet. 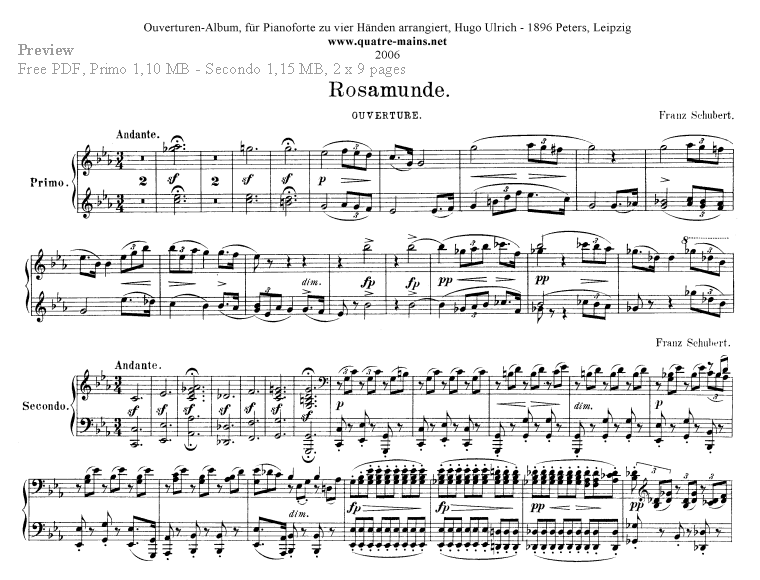 And now specializes in on-line courses and DIY lessons in classical music composition richly illuminated with examples and music fragments. 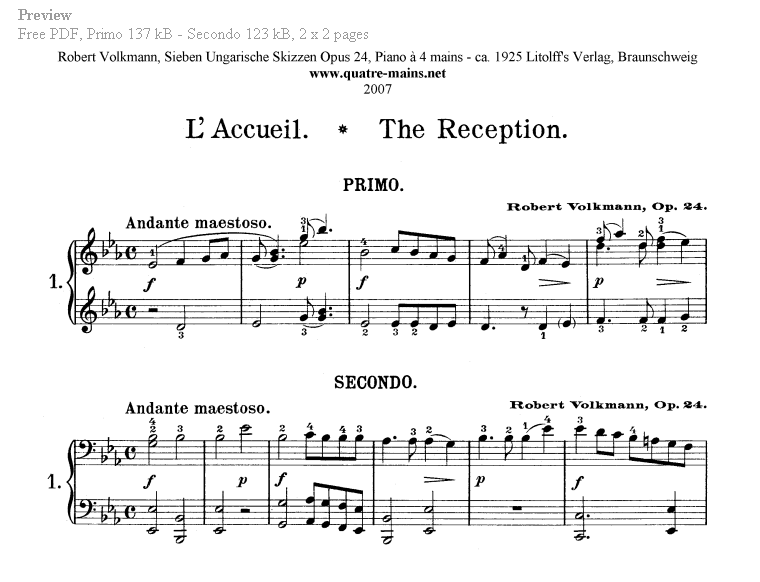 - Take a look at the preview first, before you decide to download. 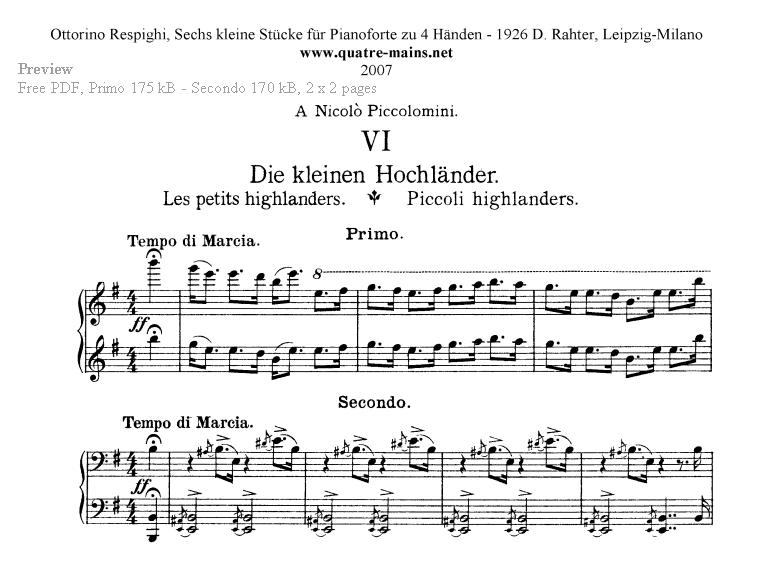 Click the title. 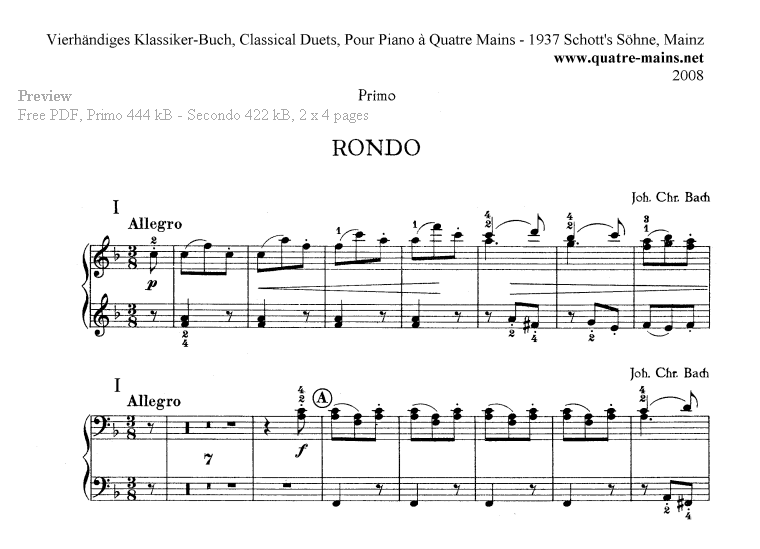 RowyNet - free sheet music, more than 2,000 files. 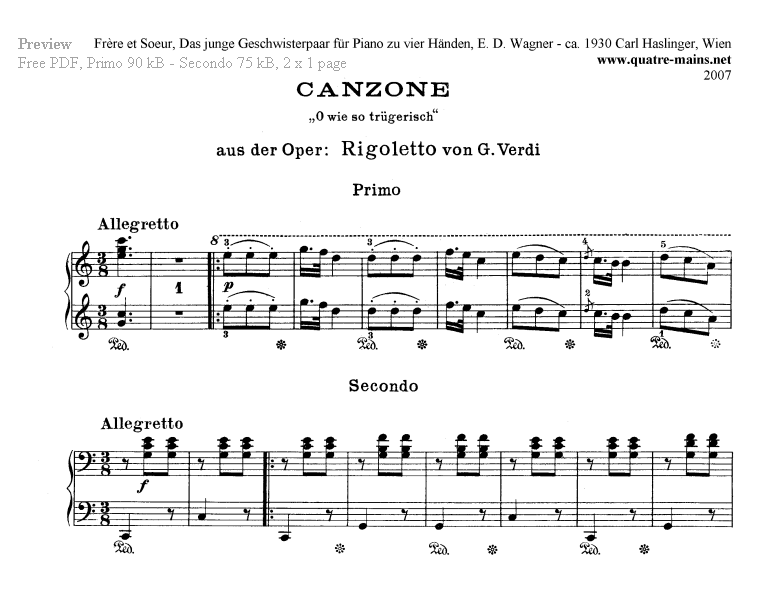 CTunes - Free classical ringtones for your mobile phone at no costs. 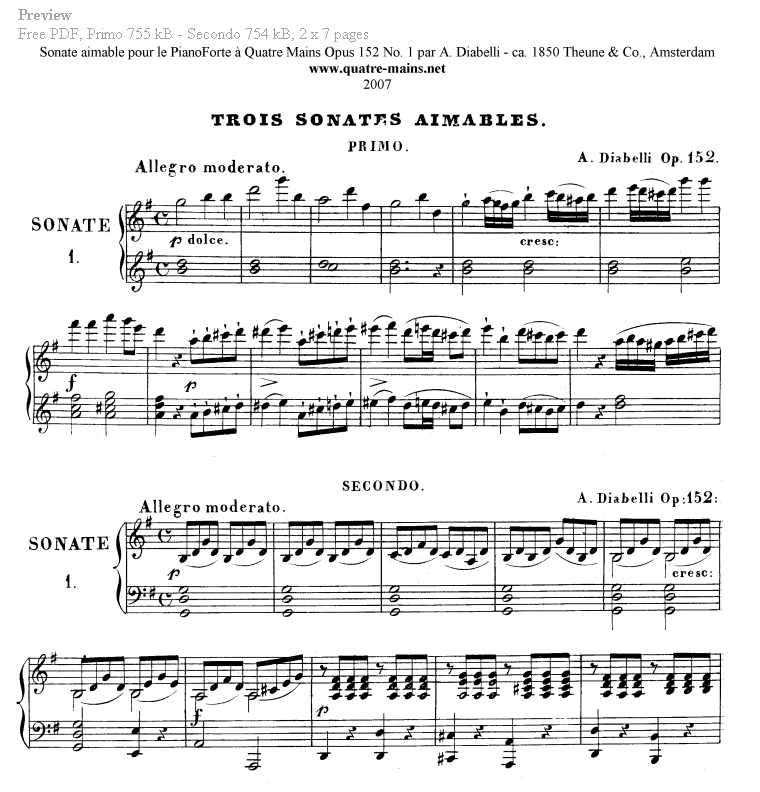 www.ctunes4.mobi - Free ringtones on a mobile site. 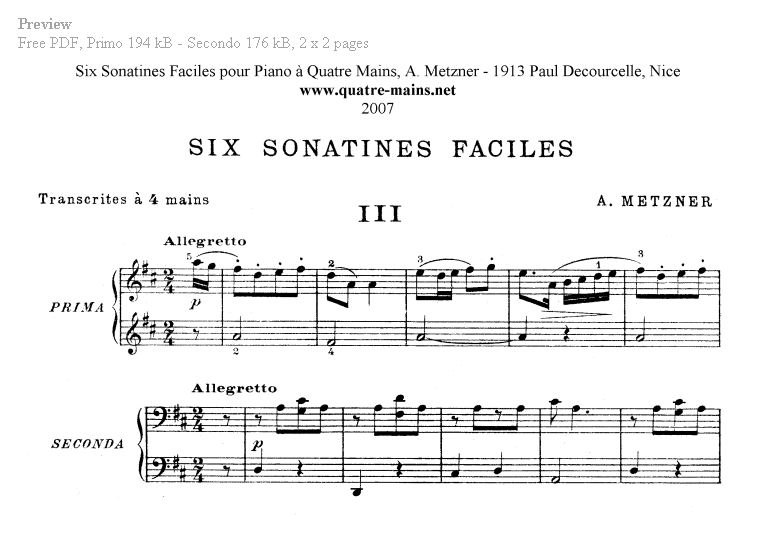 You are not allowed to republish any materials of this site on other sites without the consent of Quatre Mains. 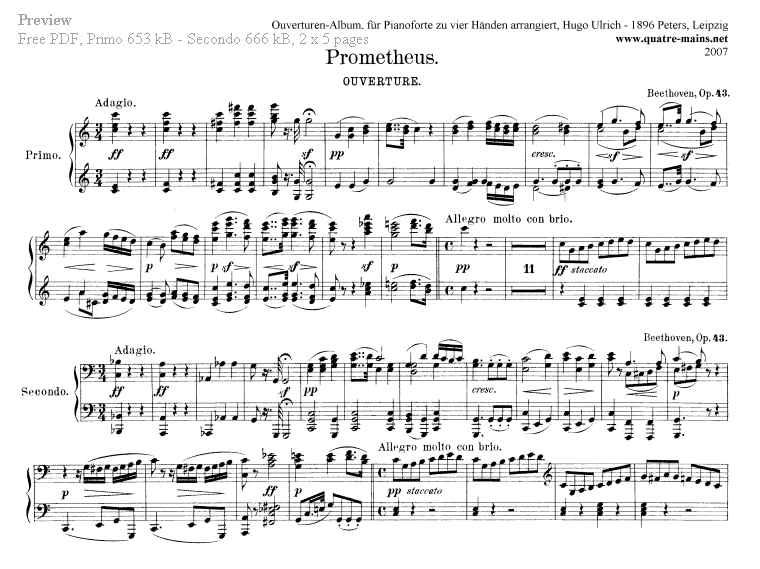 Our scores are not in the Public Domain. 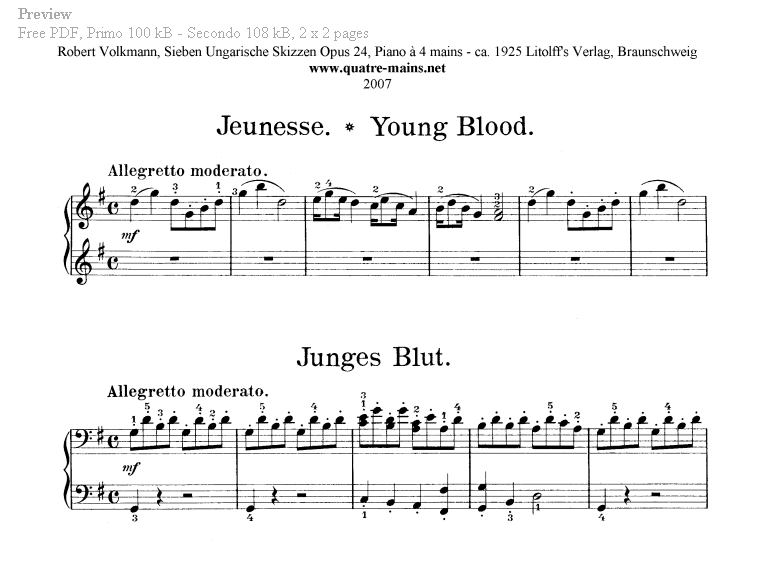 They have been selected, edited/arranged or retouched by a professional musician. 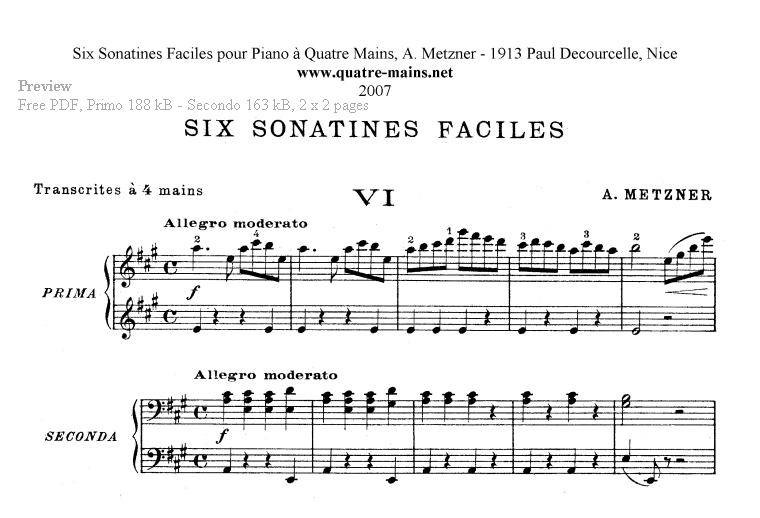 Quatre Mains authorizes you to view, listen, download and print the materiales on this site only for your personal, non-commercial use, provided that you retain all copyright and other proprietary notices contained in the original materials on any copies of the materials. 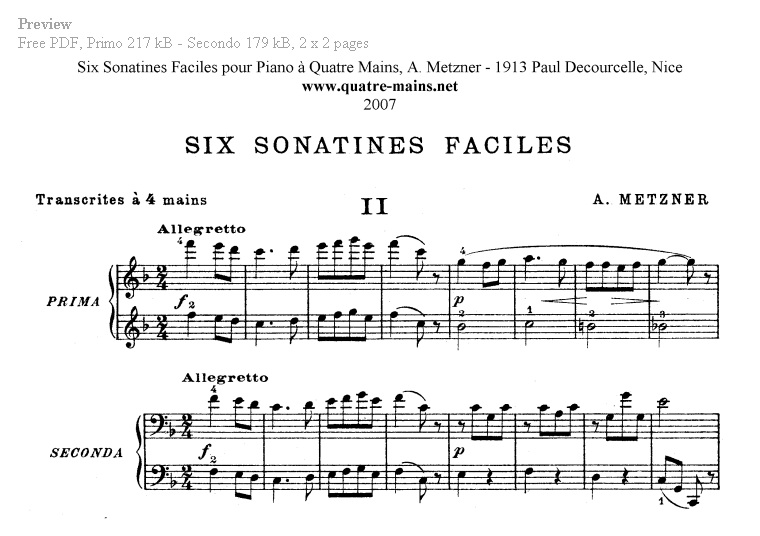 Quatre Mains authorizes teachers and students to make hard copies of printed materials for educational, non-commercial use, provided that they retain all copyright and other proprietary notices contained in the original materials on any copies of the materials.